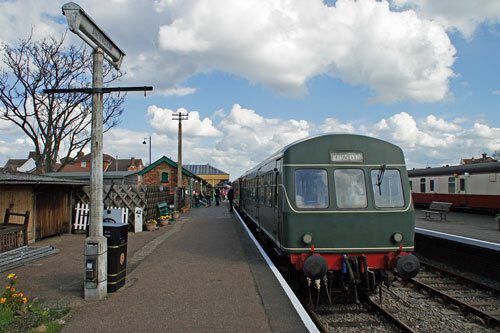 The North Norfolk Railway is a preserved steam railway which runs between Sheringham and Holt on the Norfolk coast. 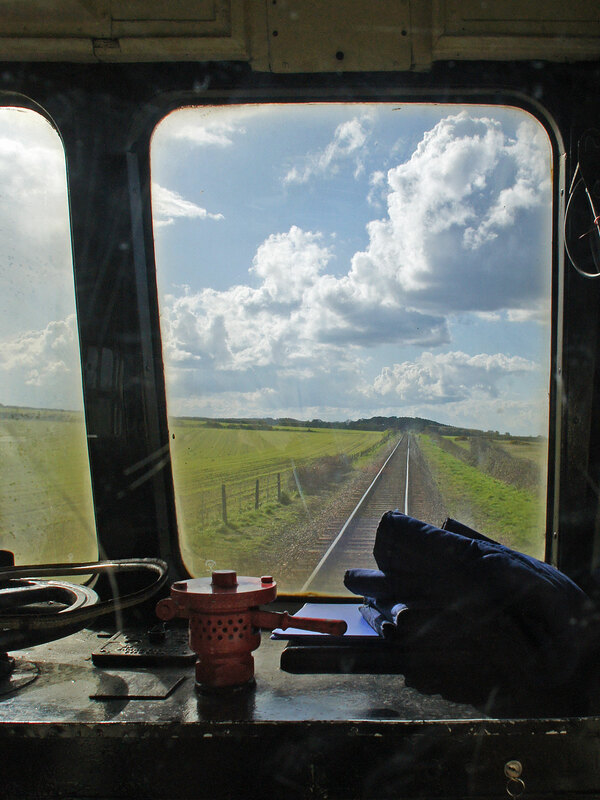 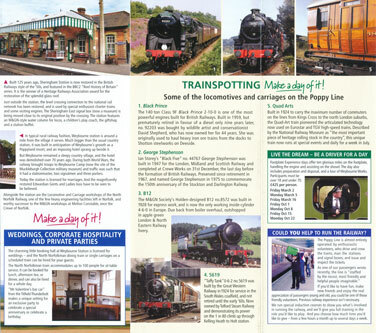 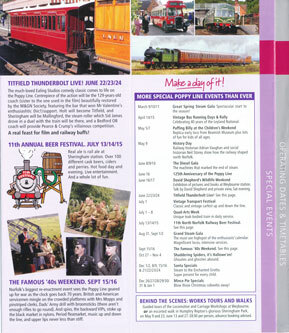 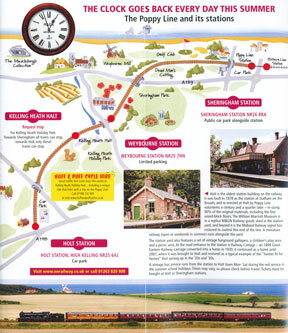 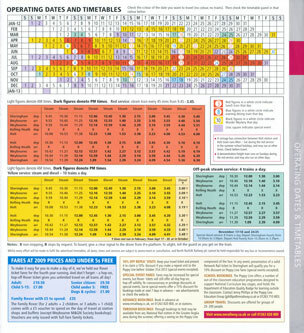 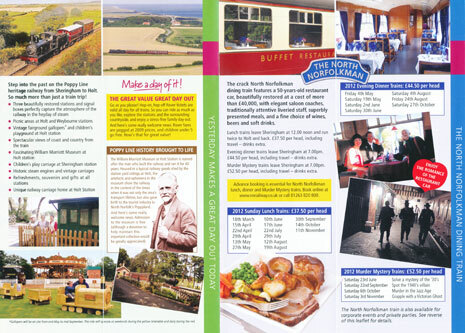 North Norfolk Railway (NNR) - this page! 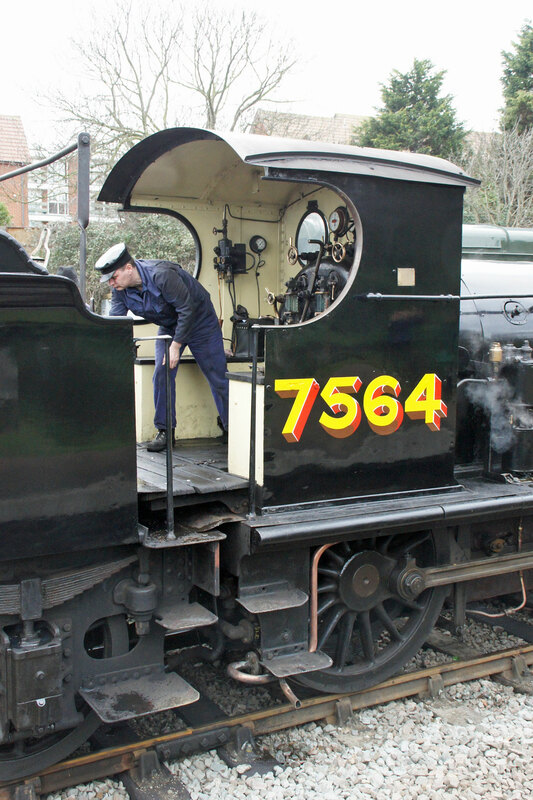 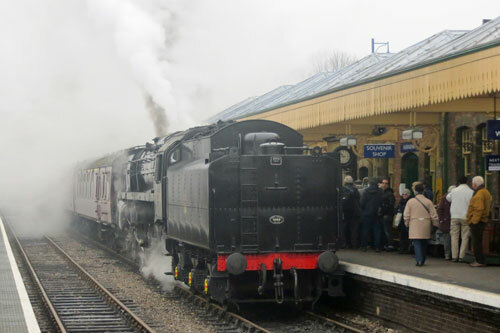 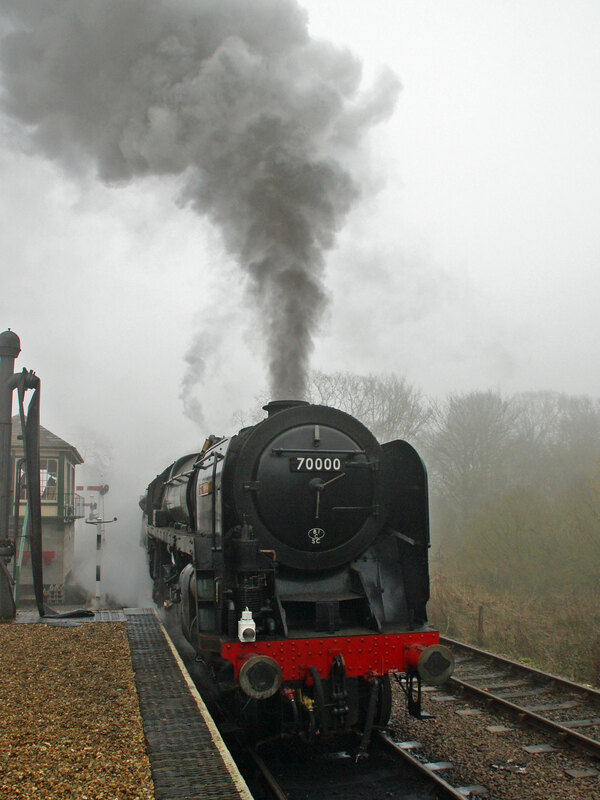 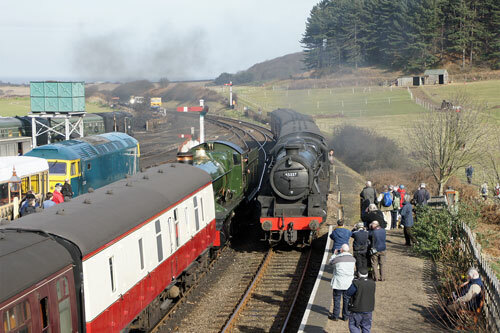 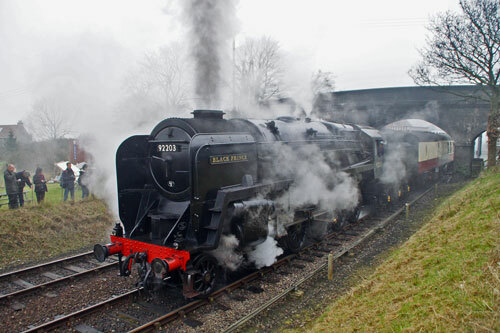 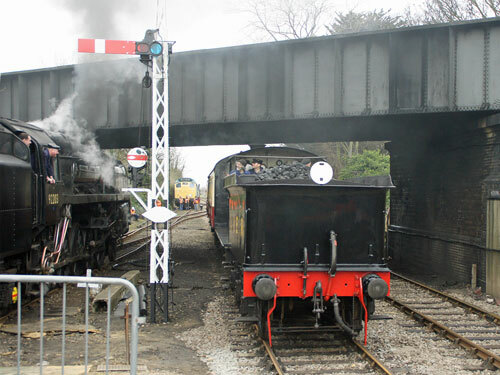 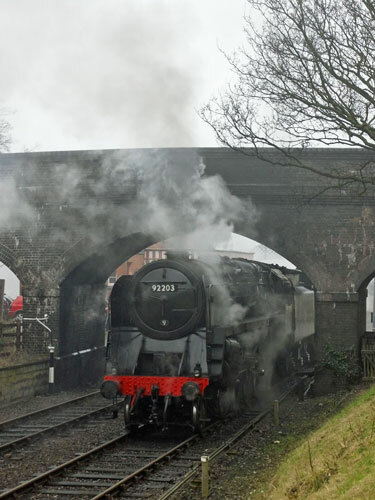 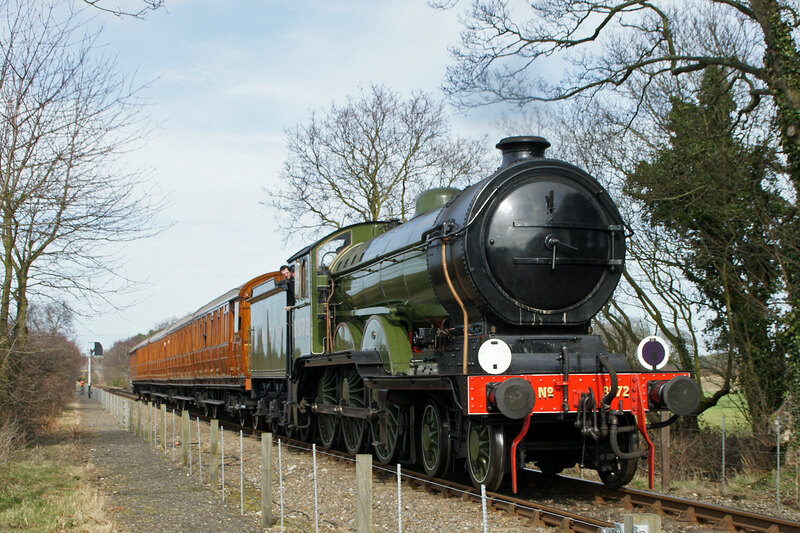 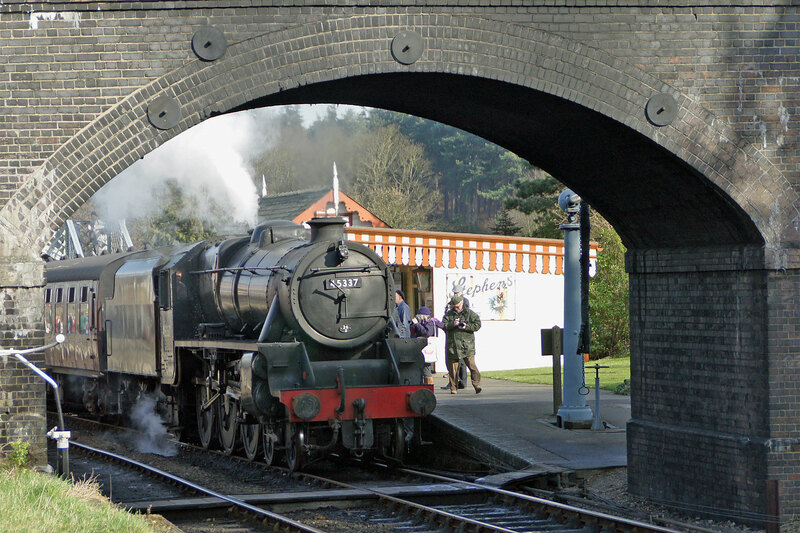 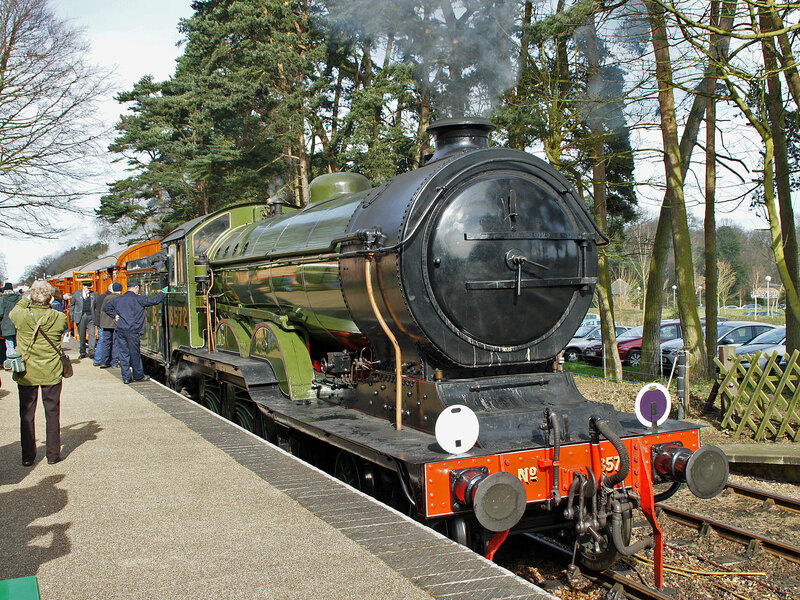 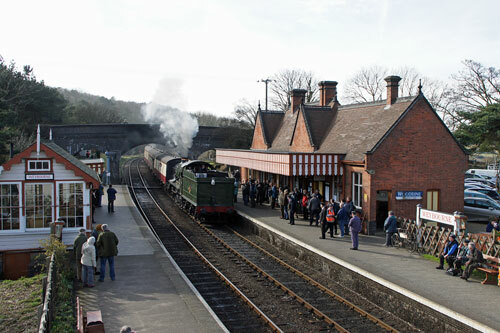 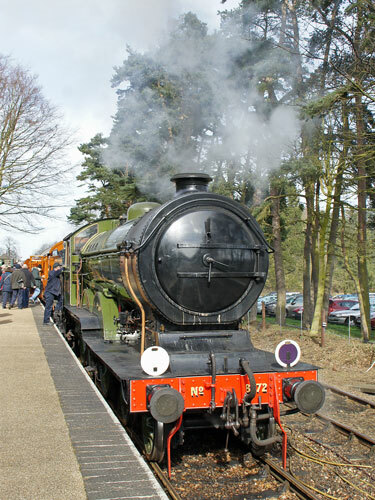 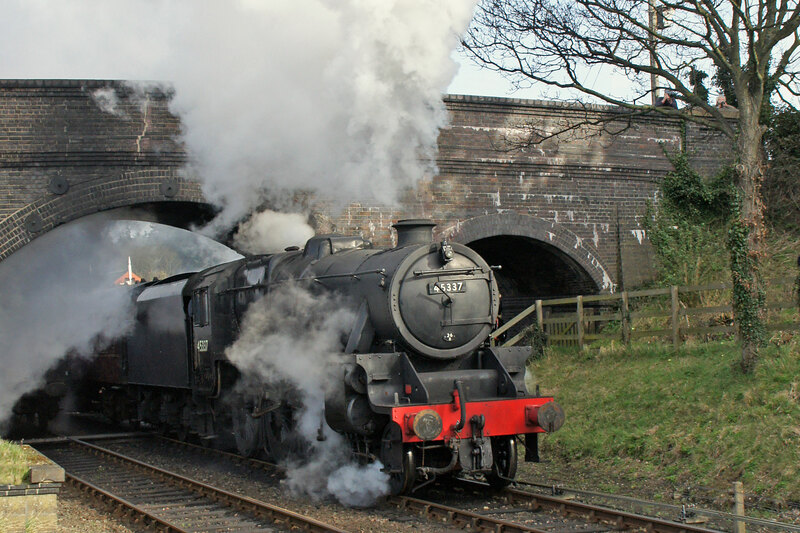 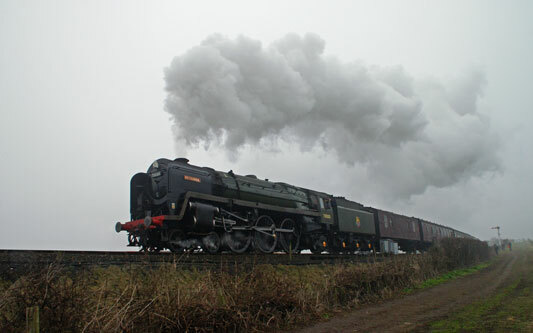 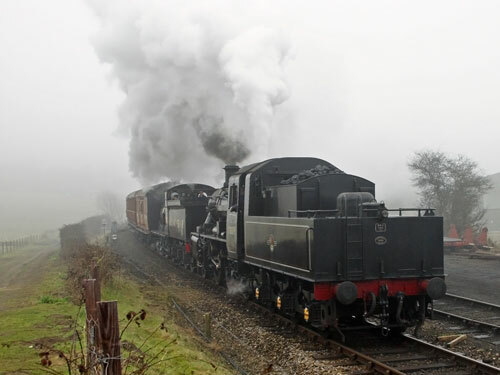 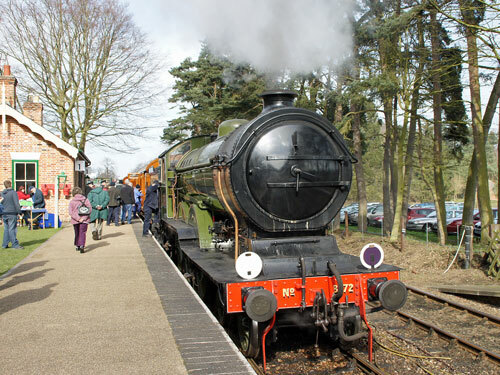 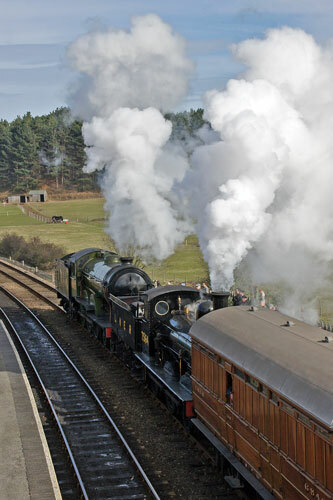 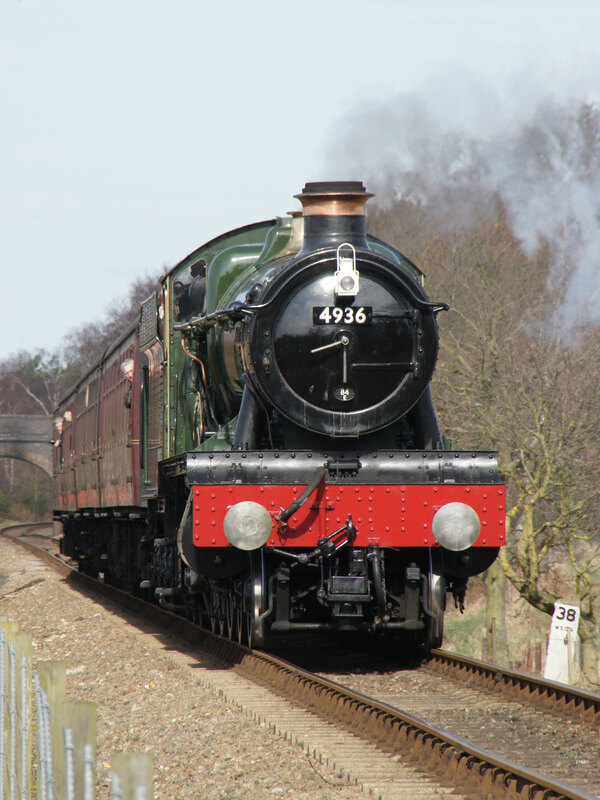 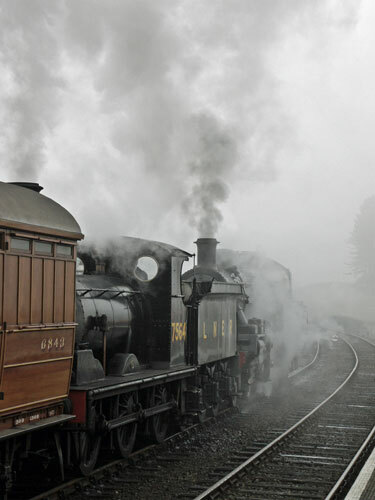 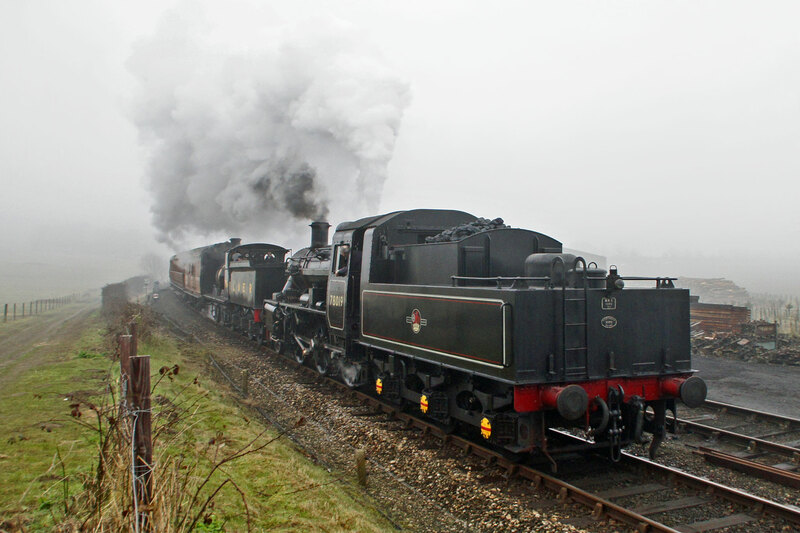 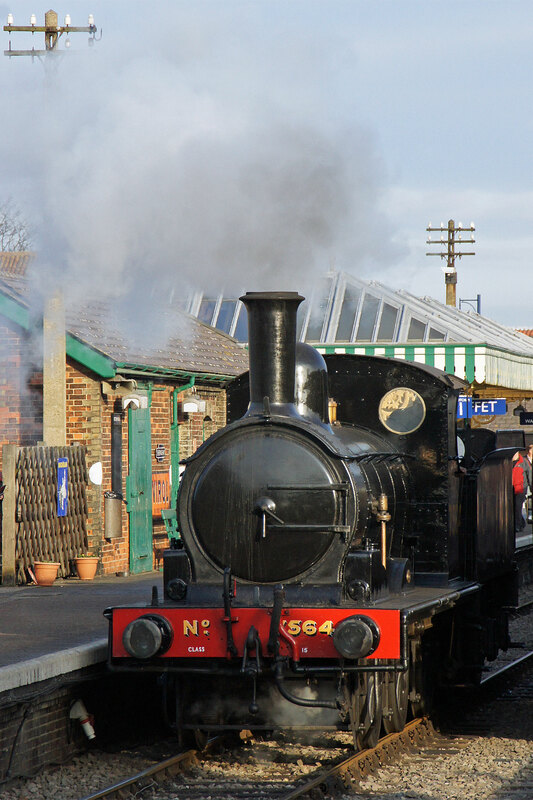 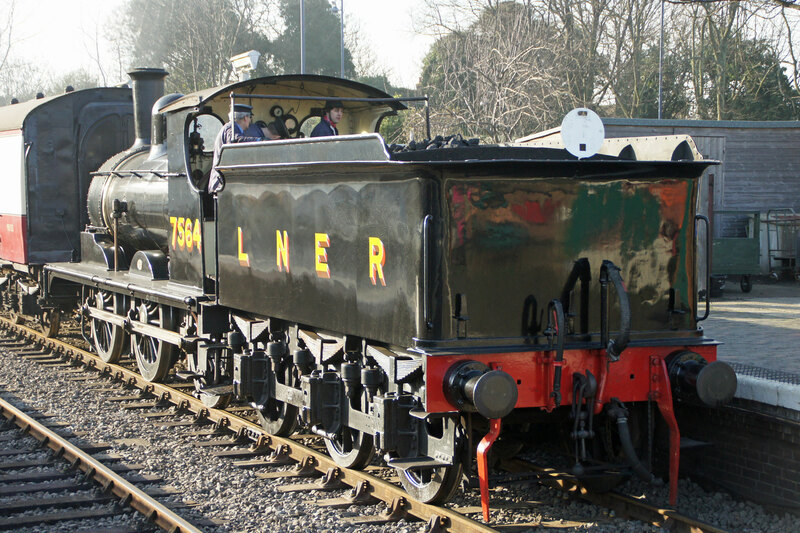 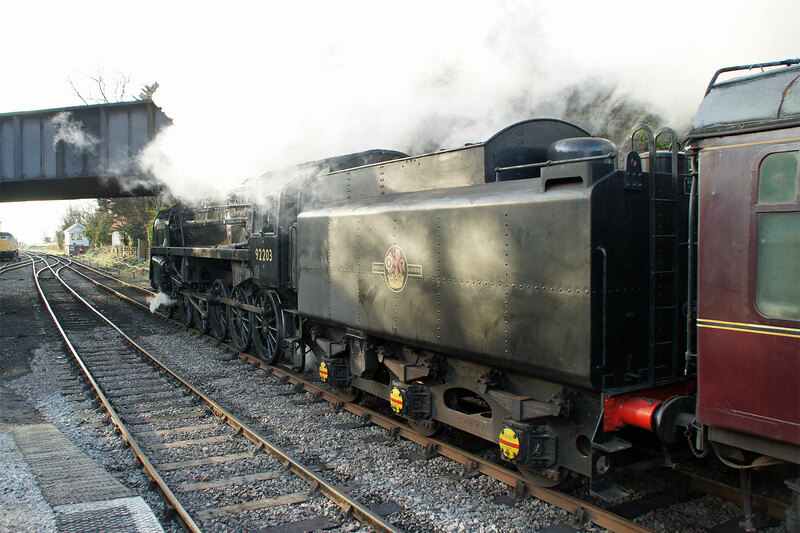 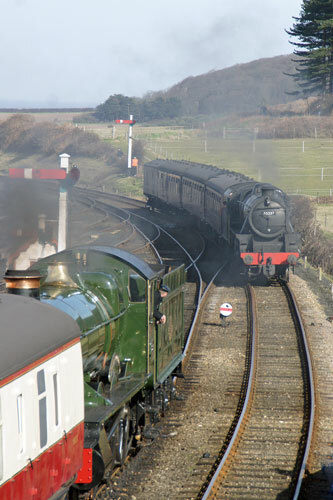 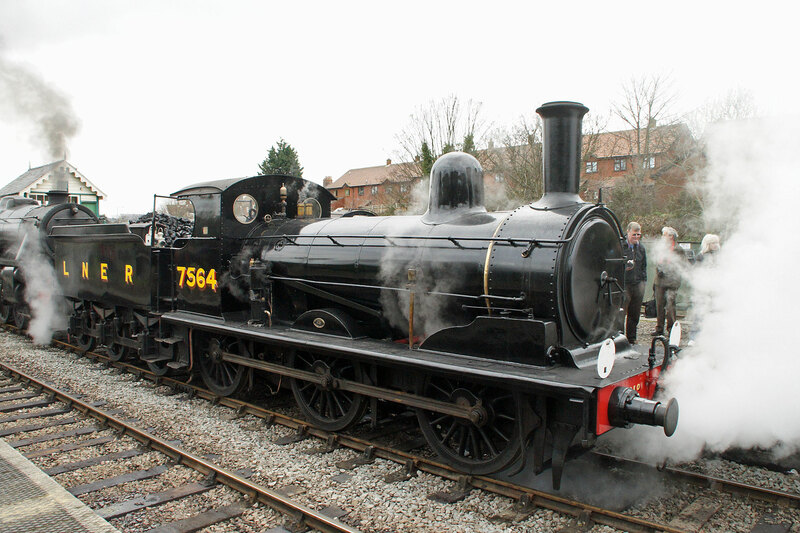 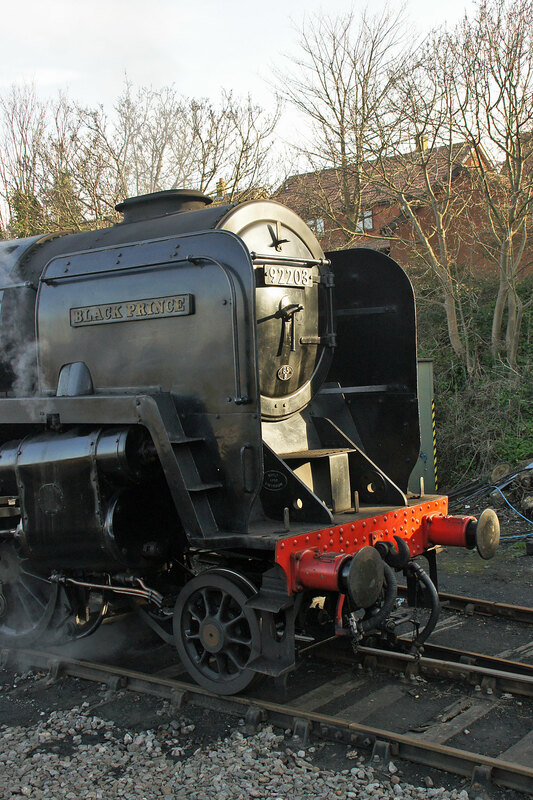 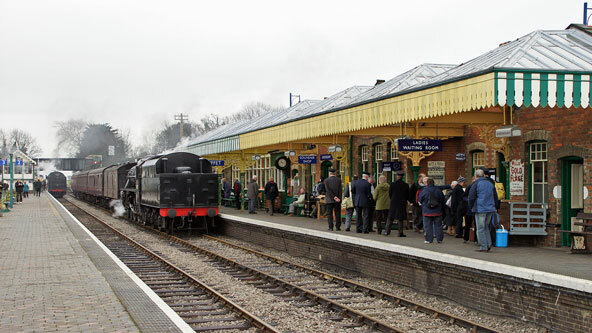 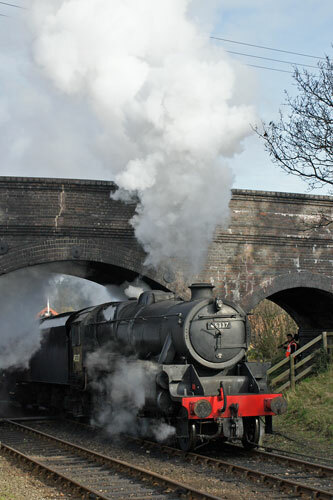 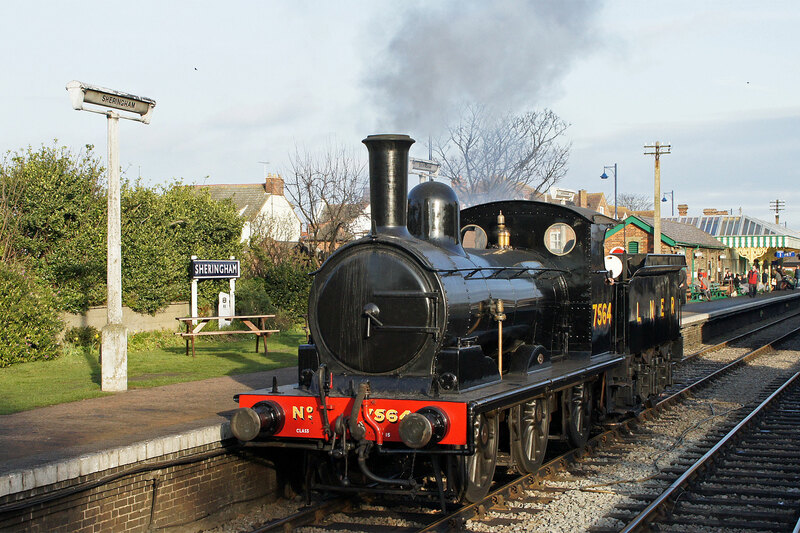 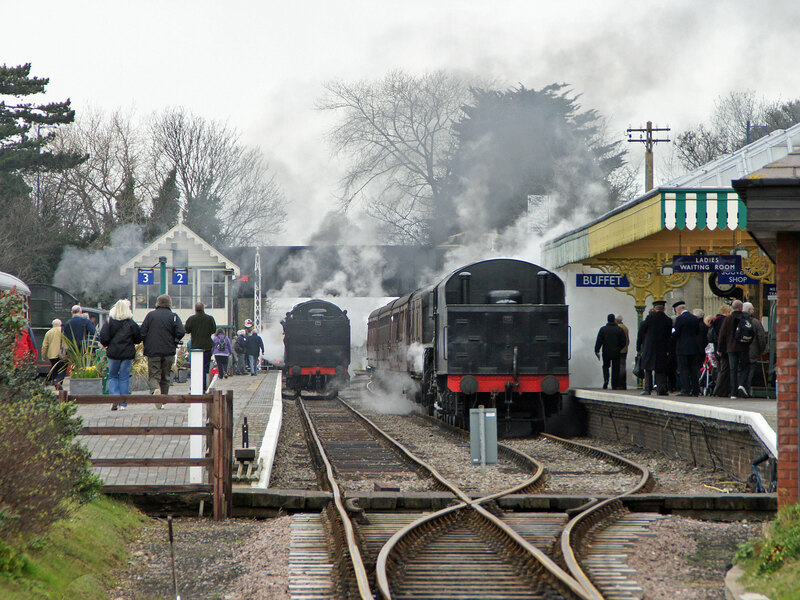 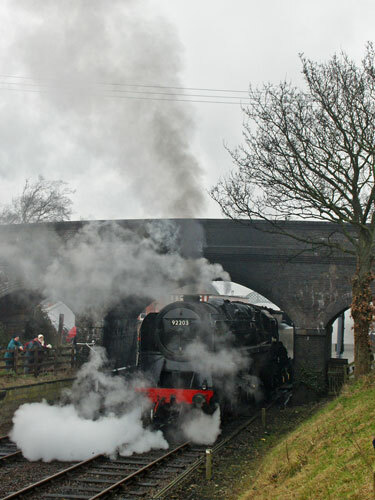 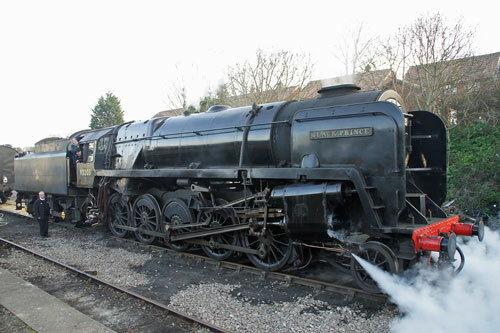 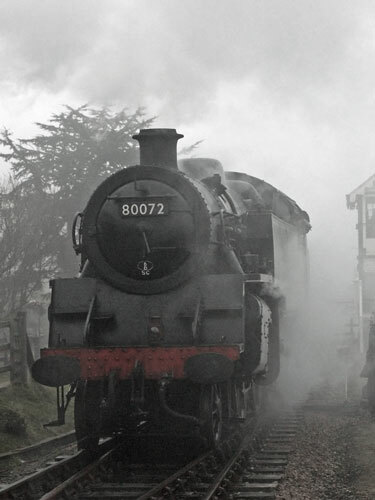 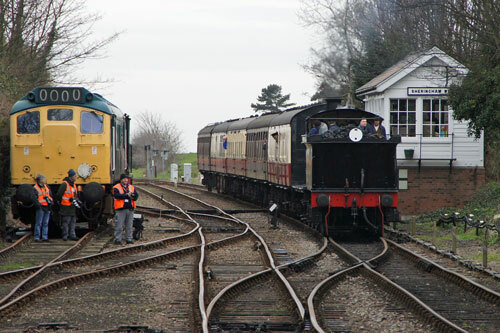 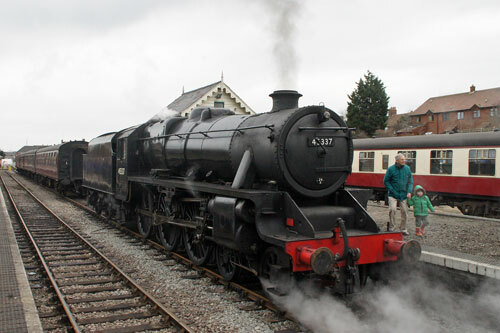 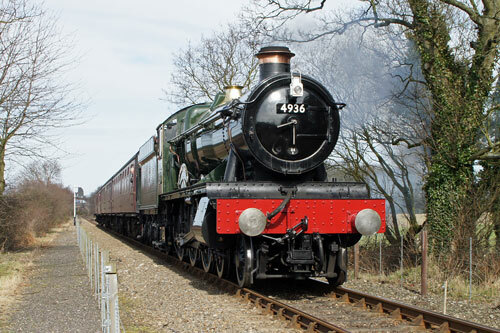 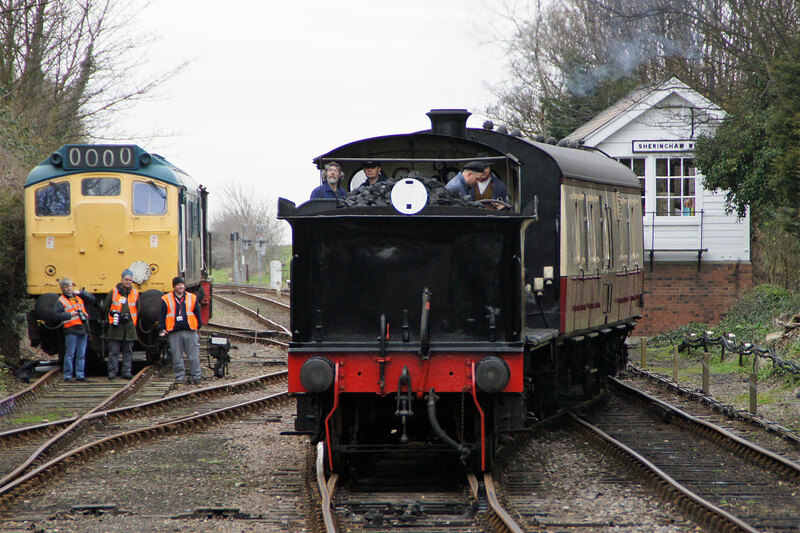 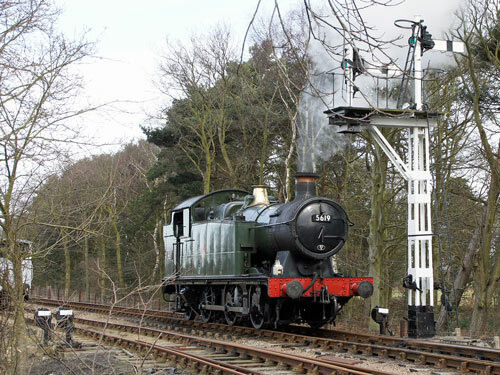 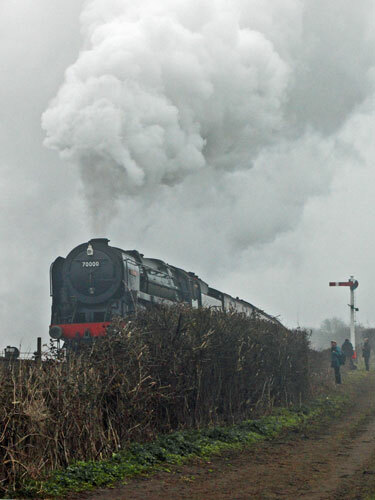 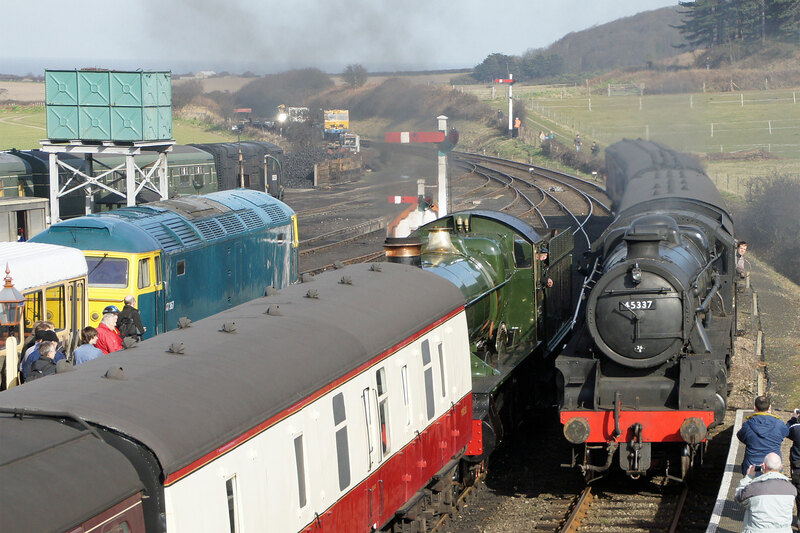 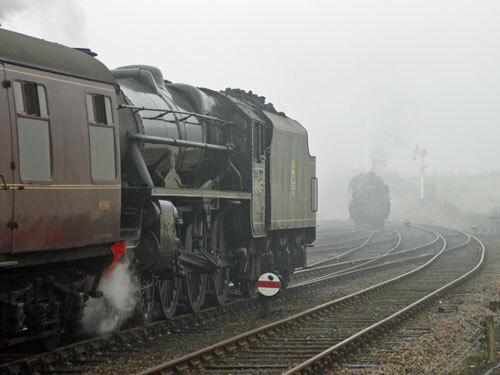 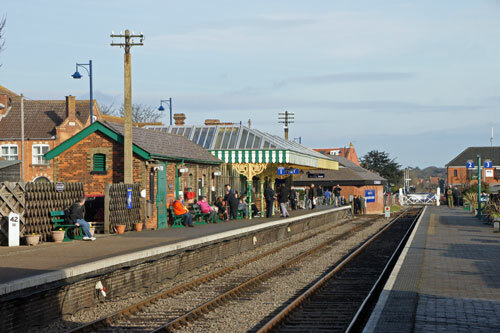 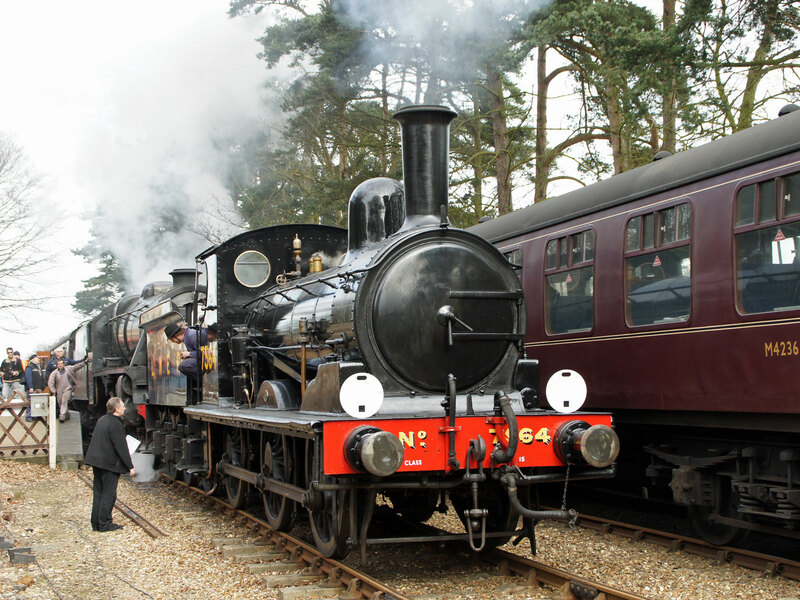 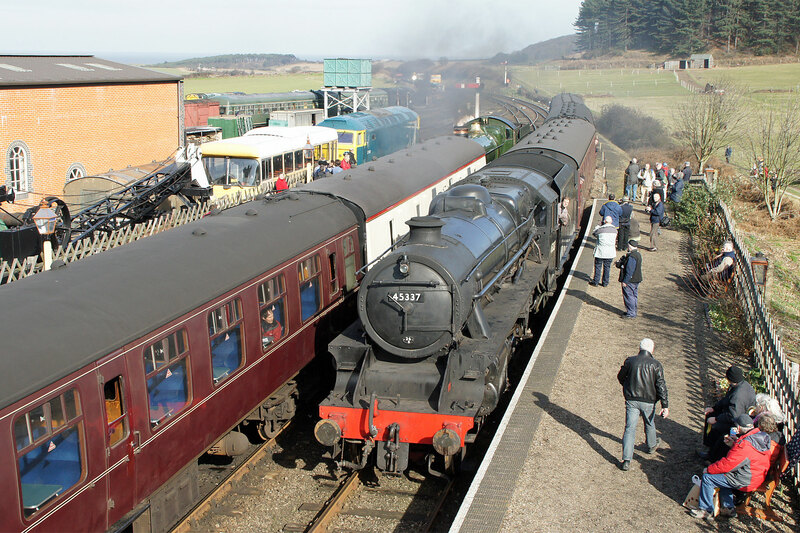 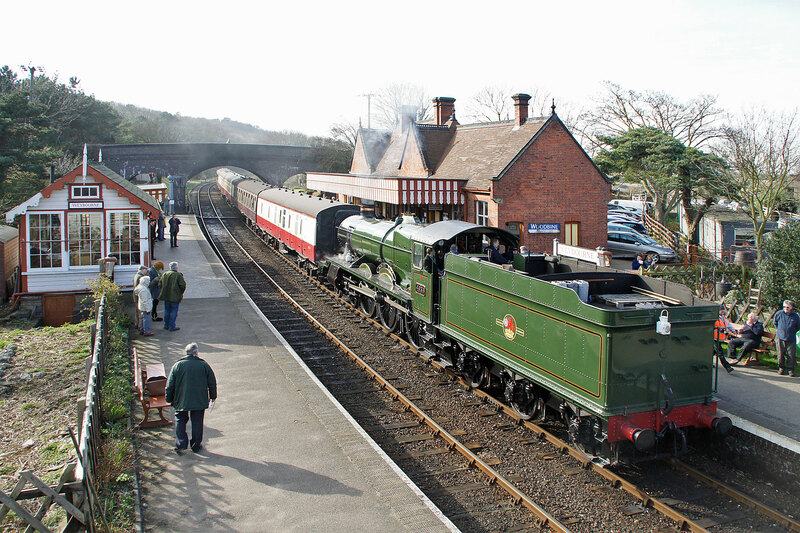 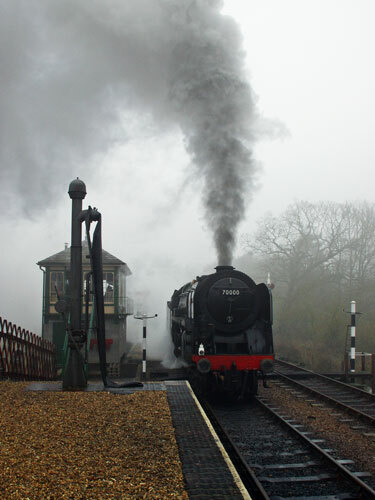 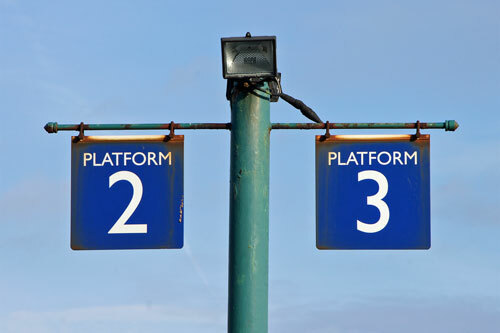 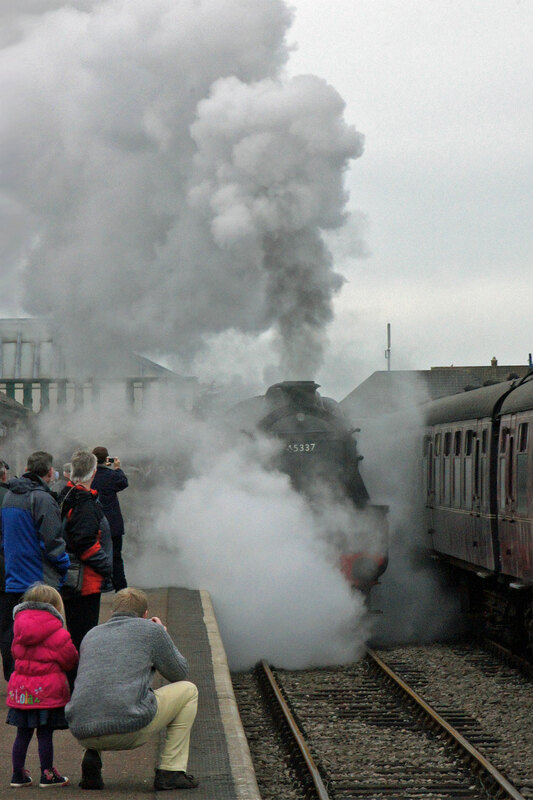 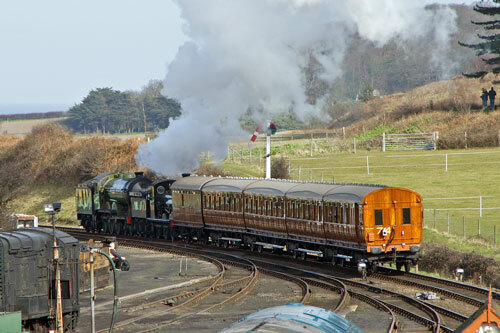 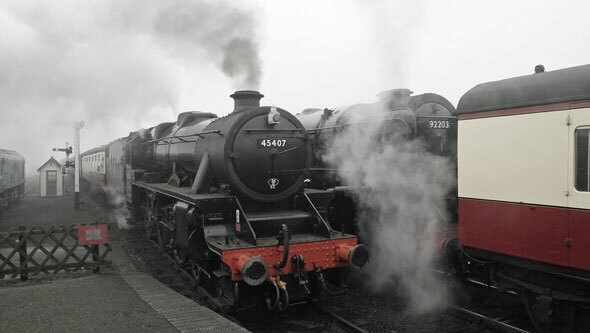 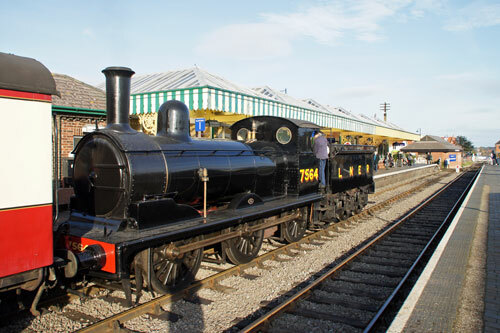 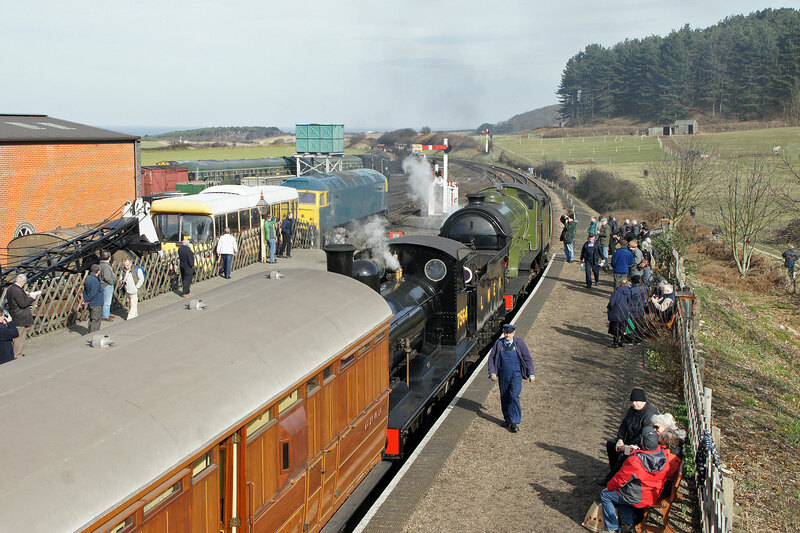 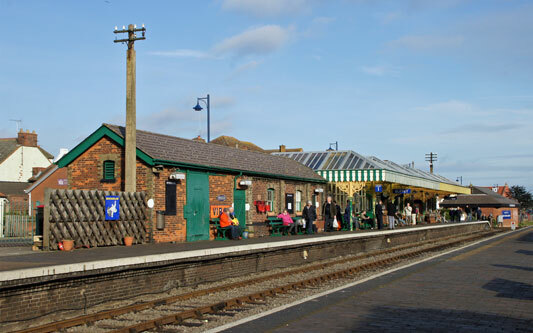 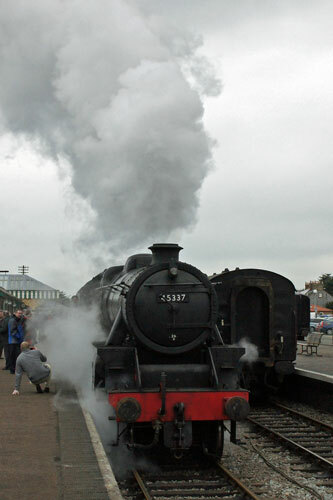 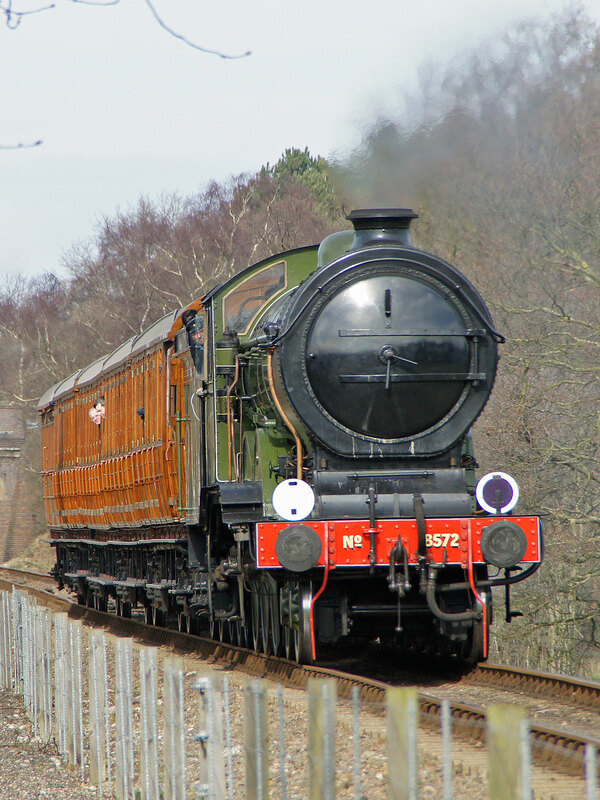 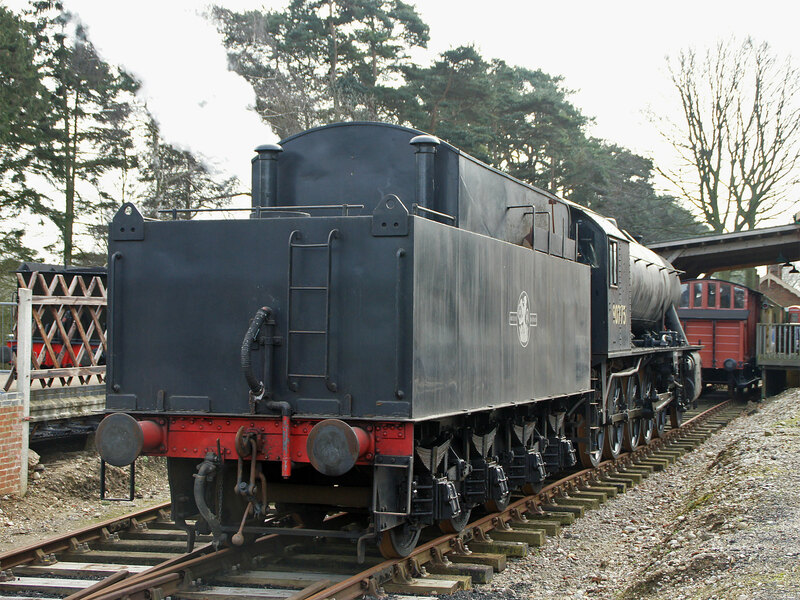 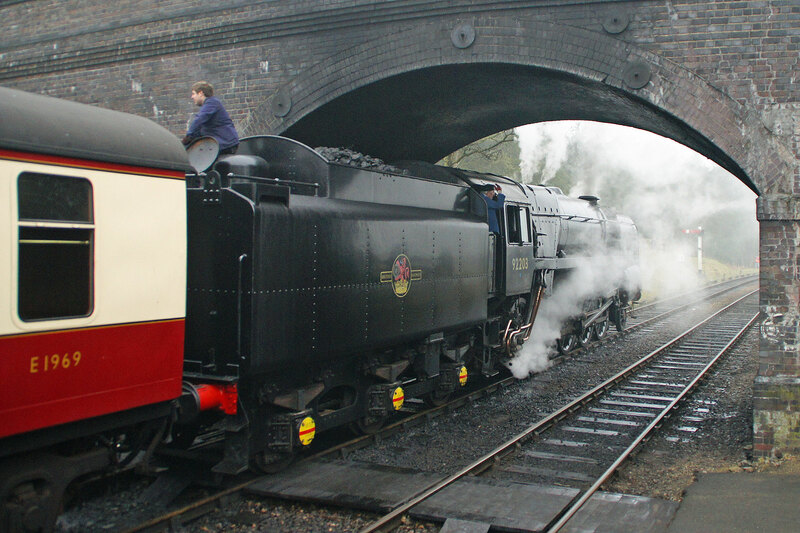 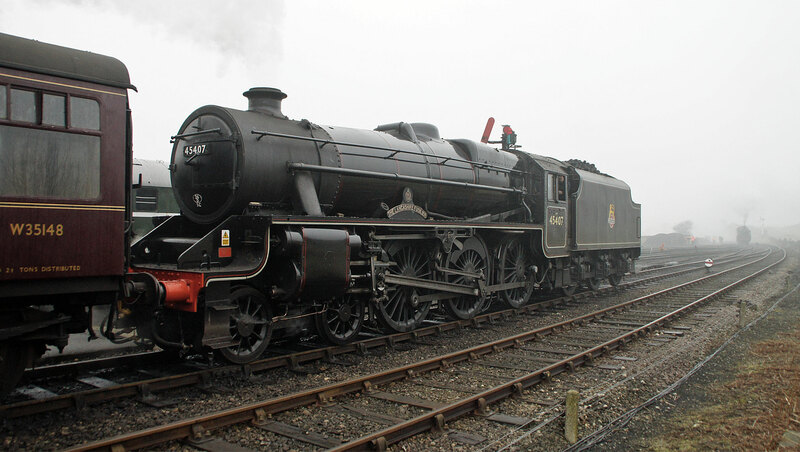 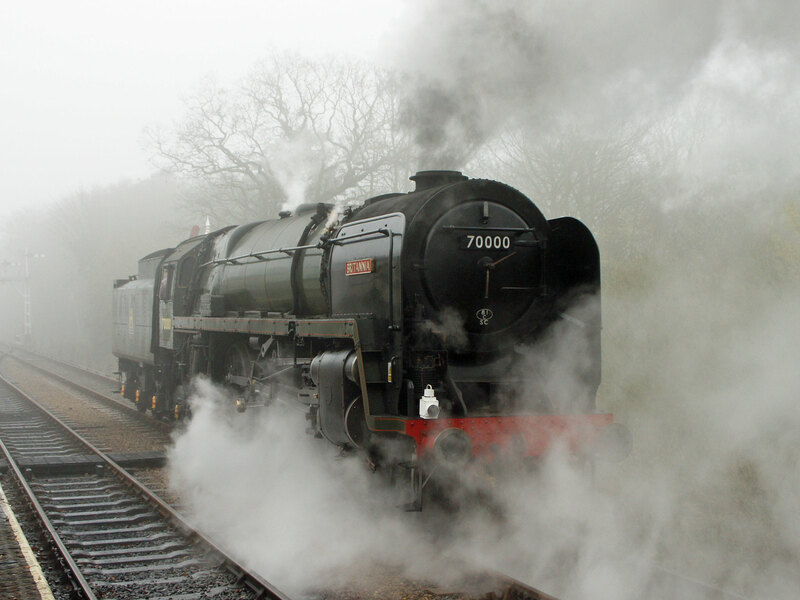 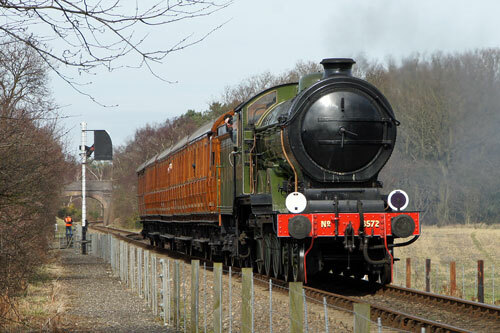 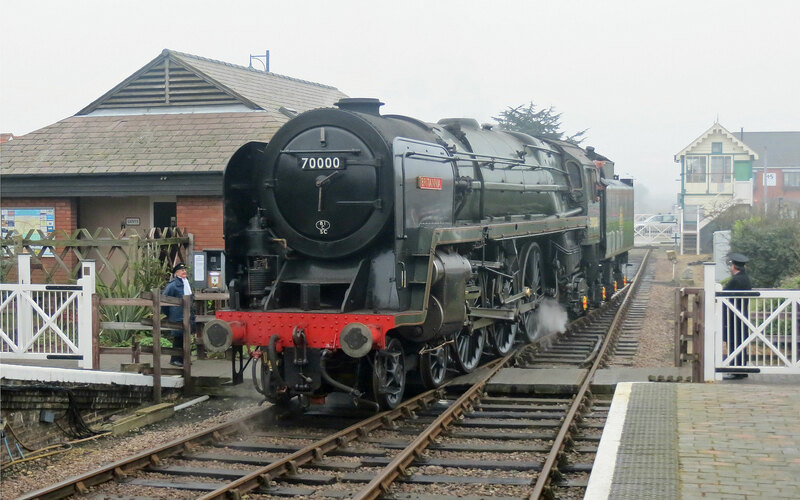 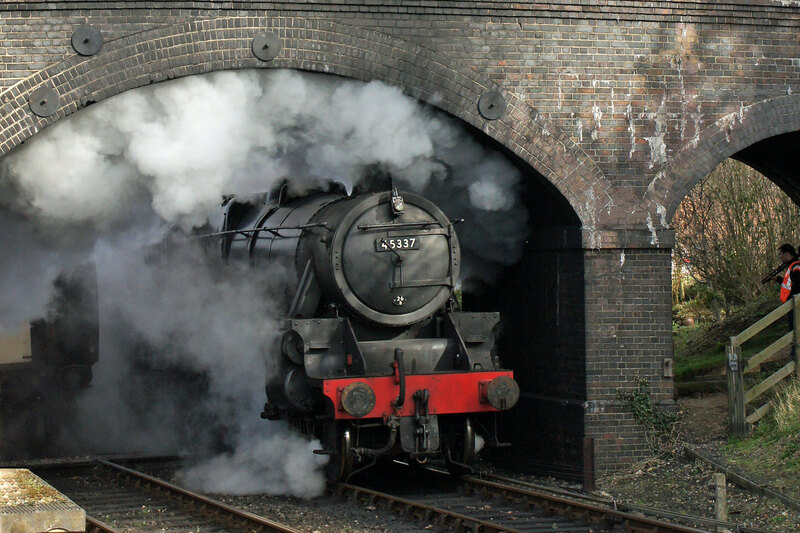 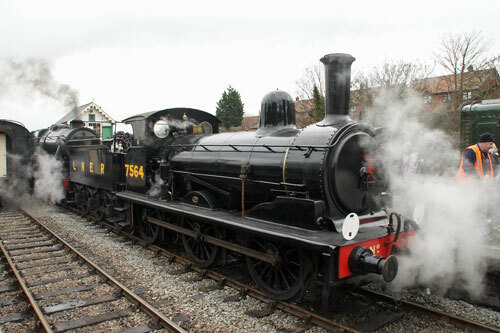 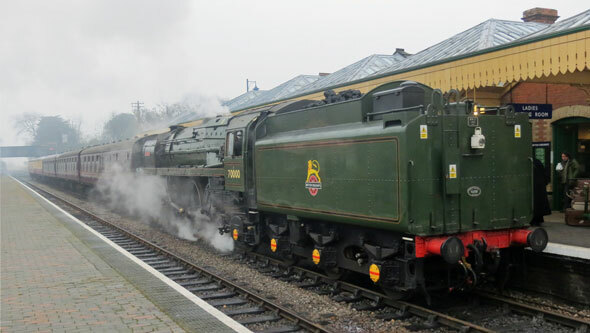 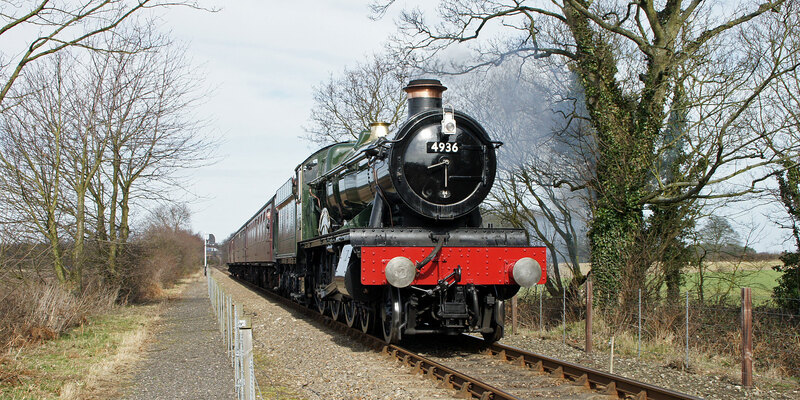 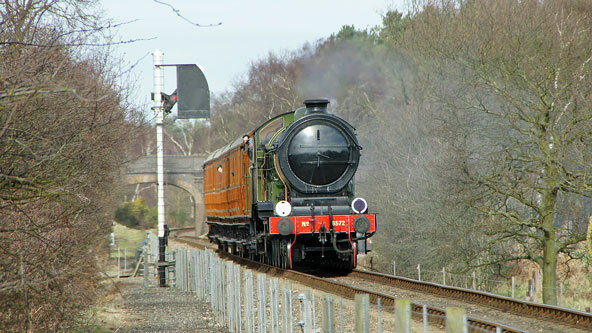 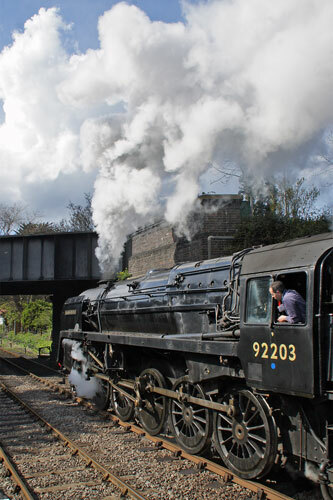 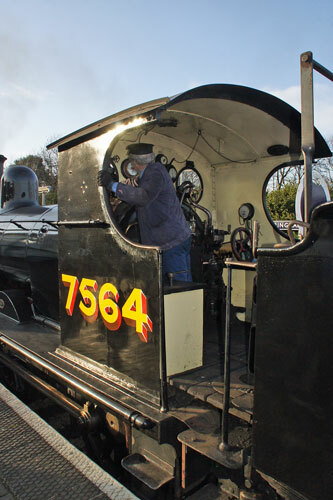 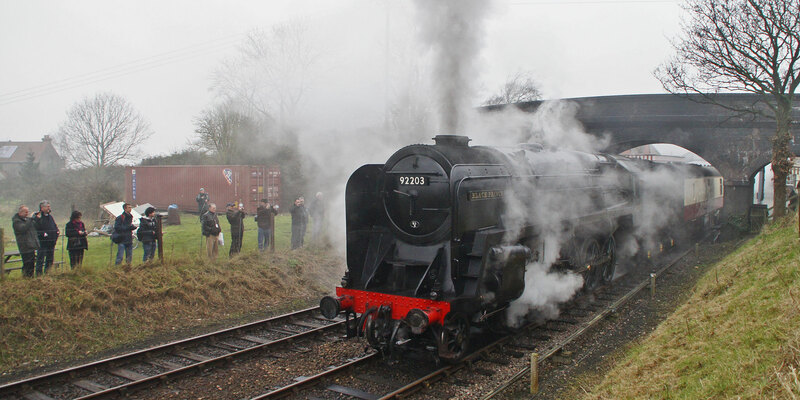 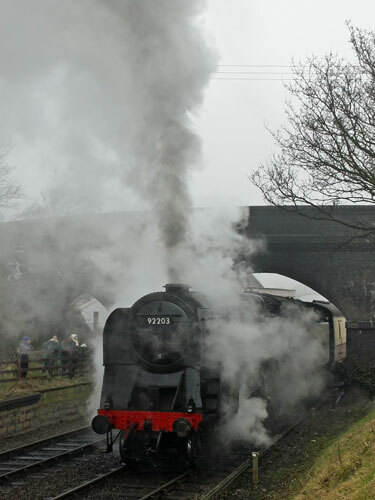 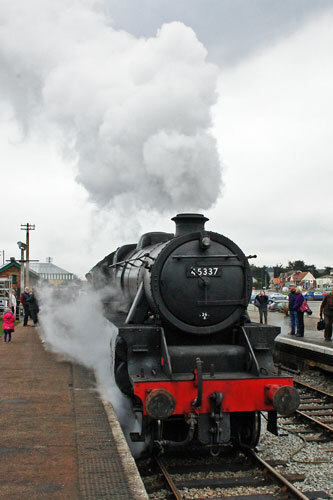 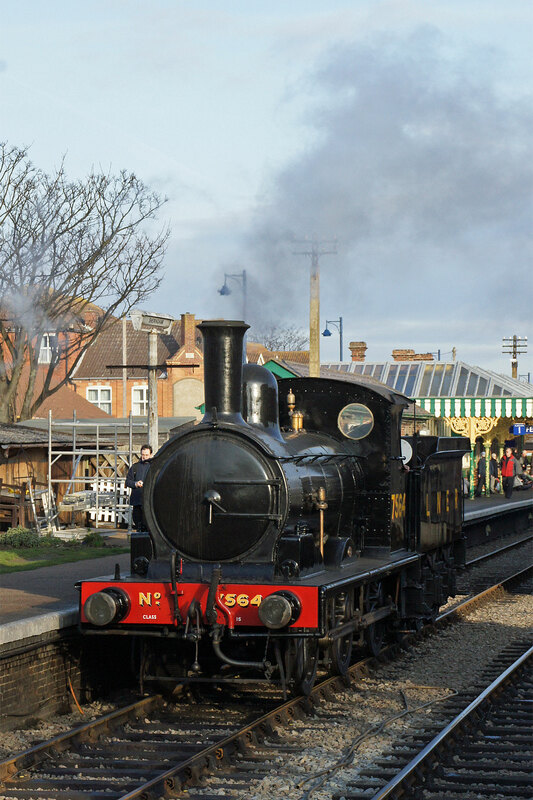 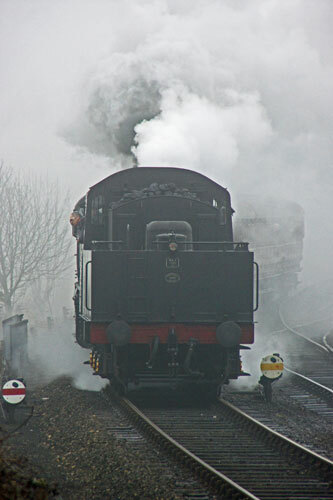 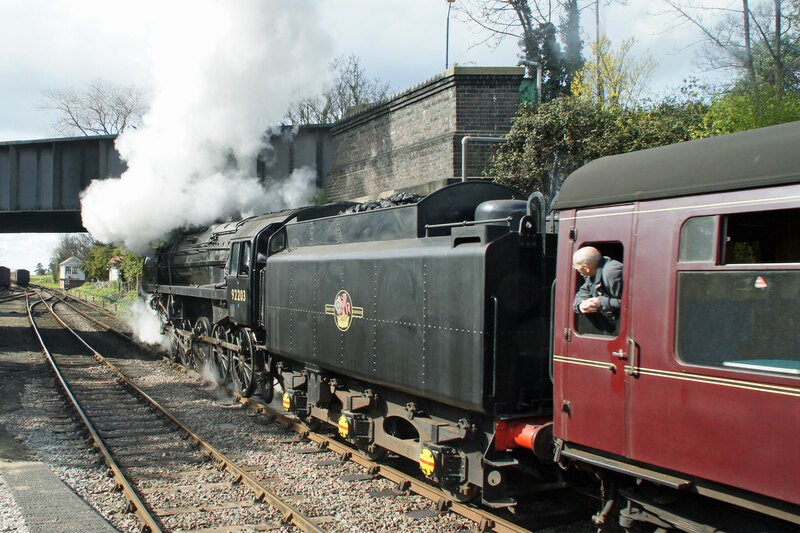 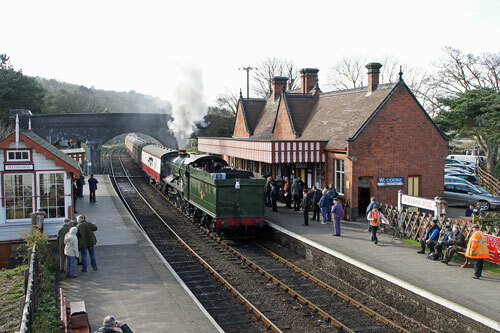 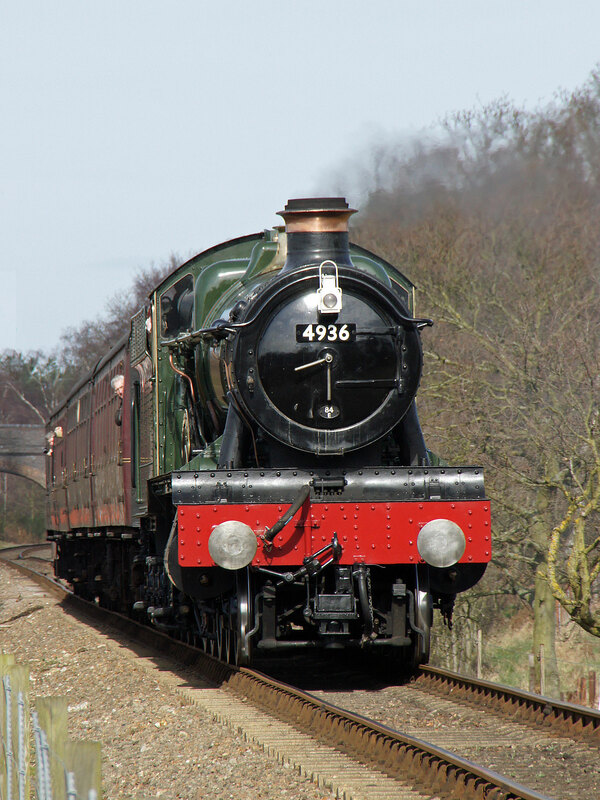 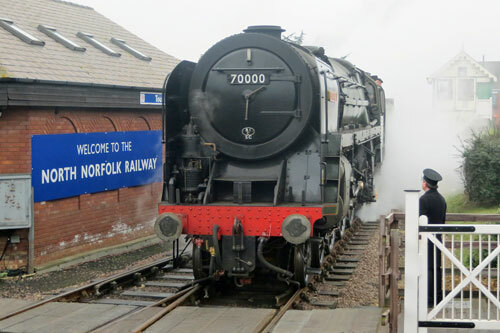 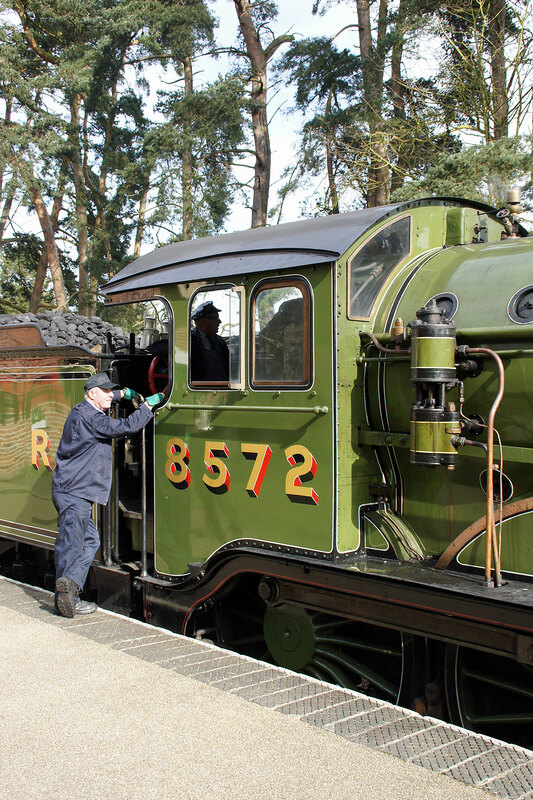 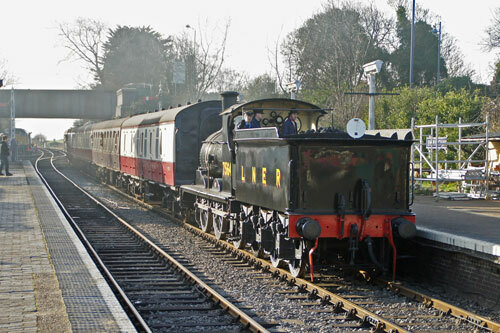 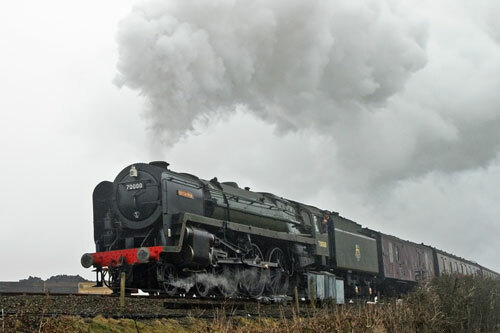 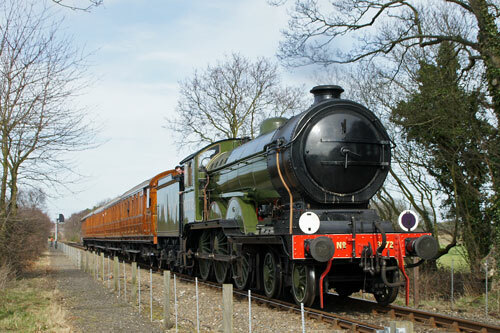 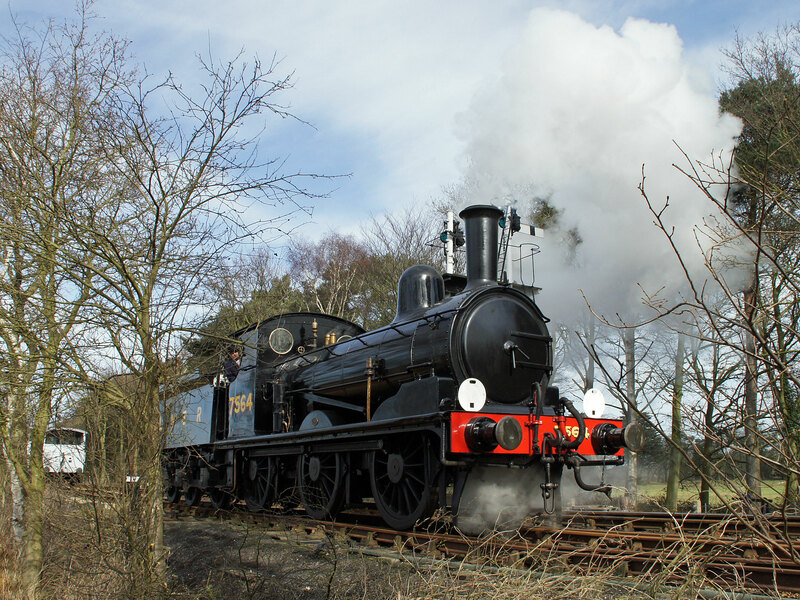 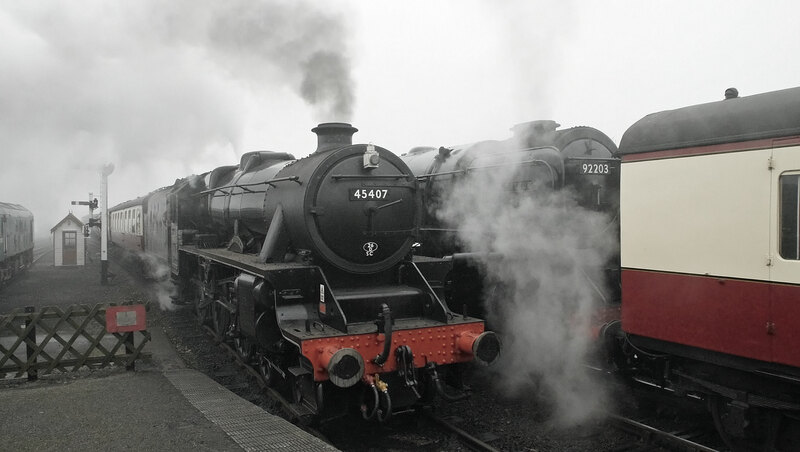 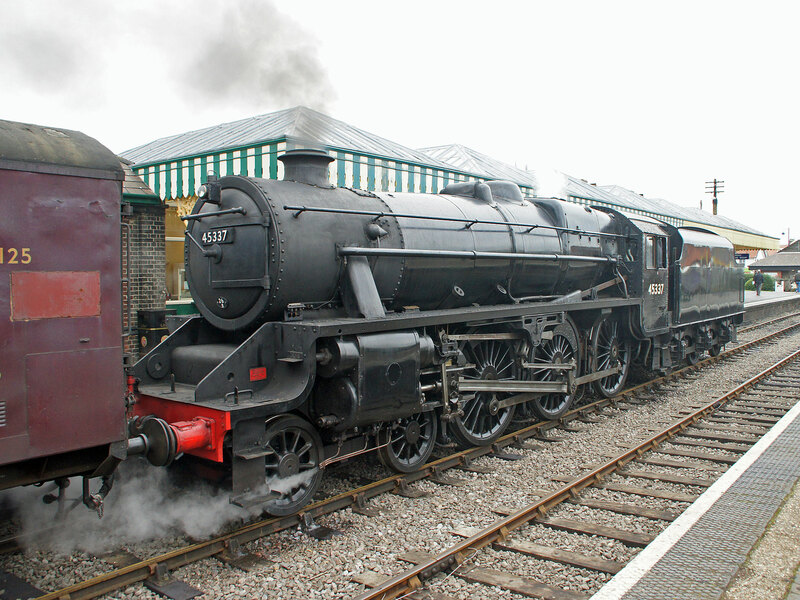 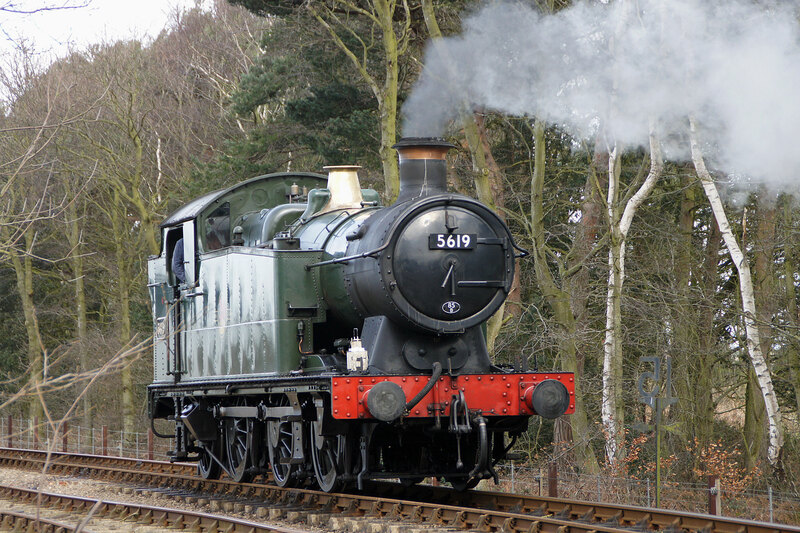 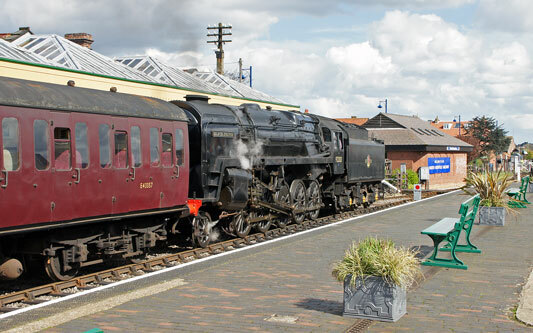 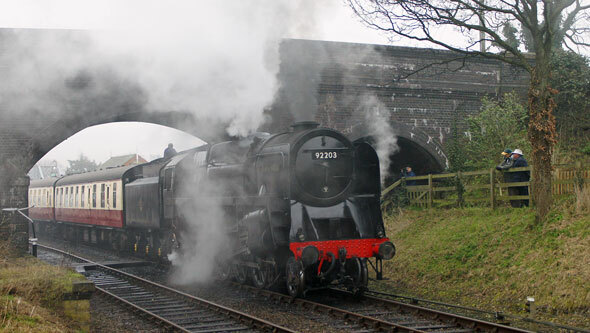 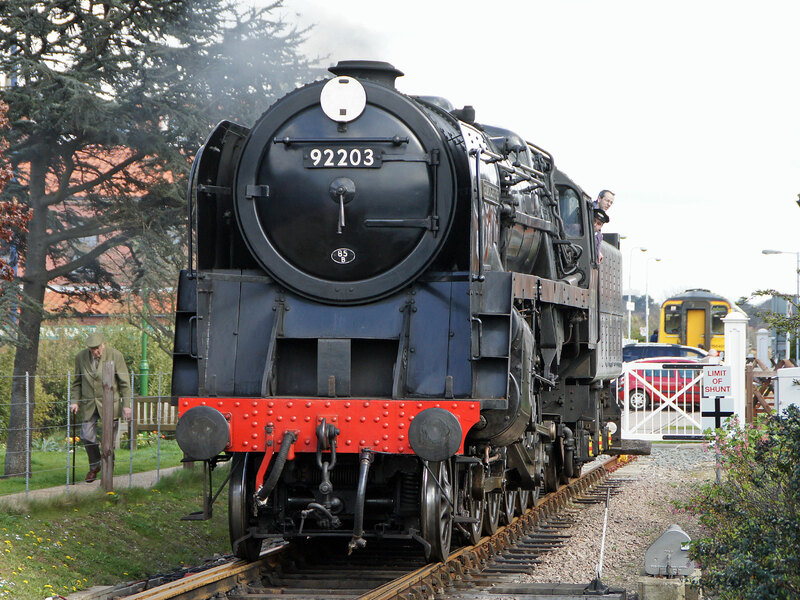 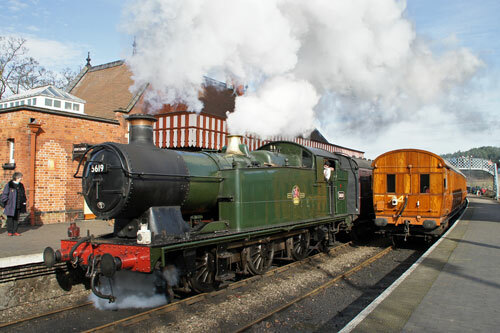 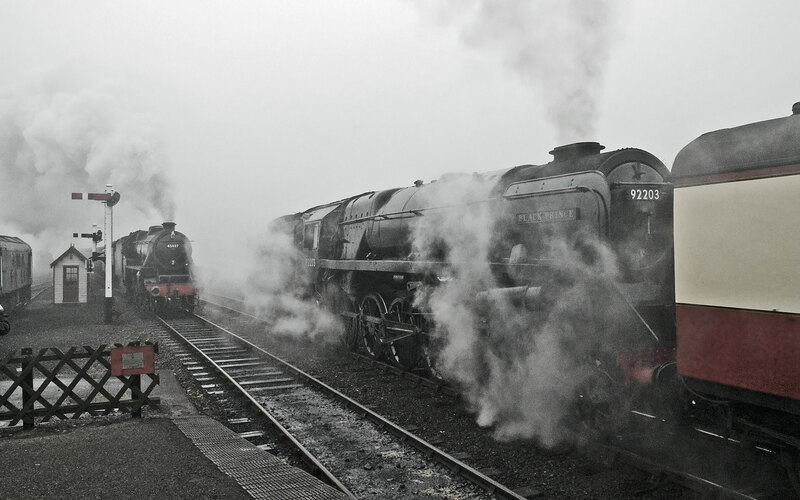 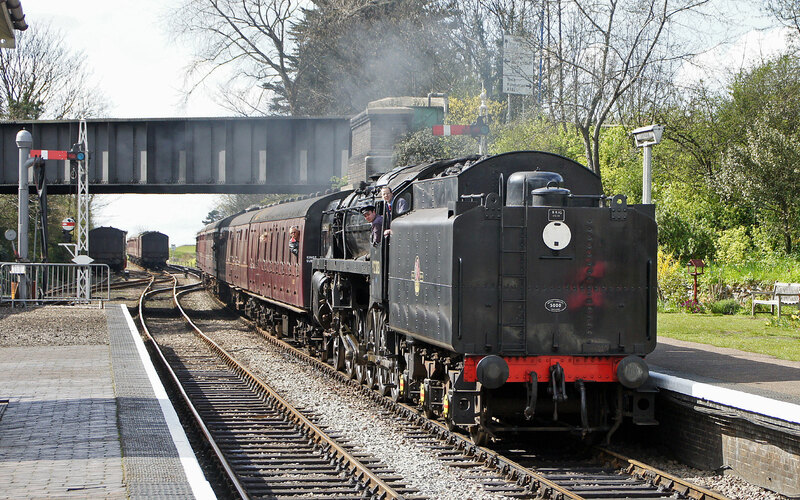 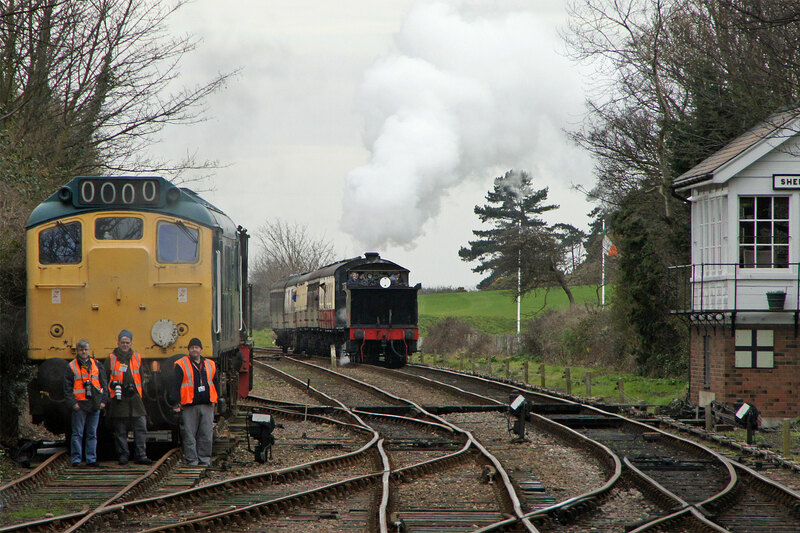 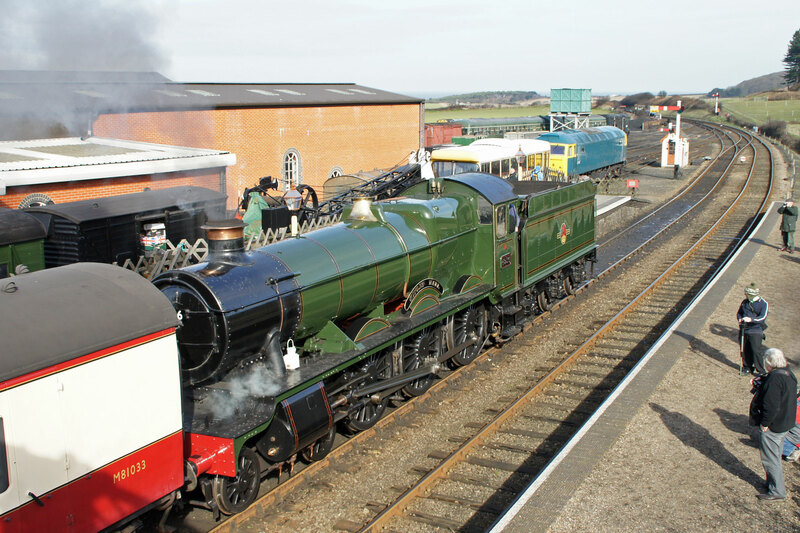 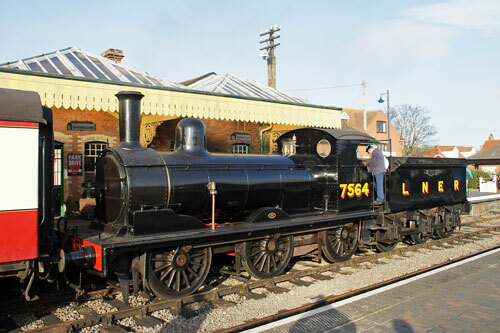 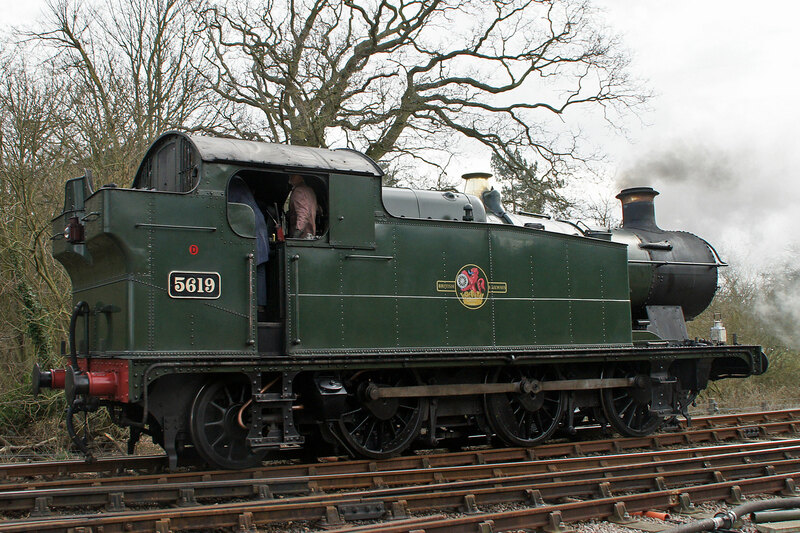 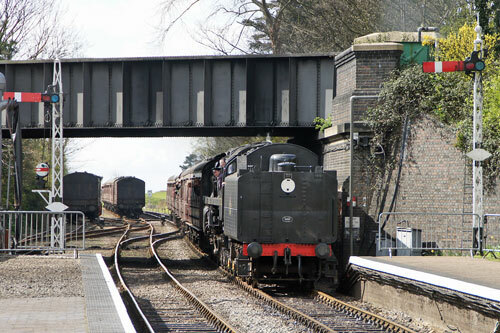 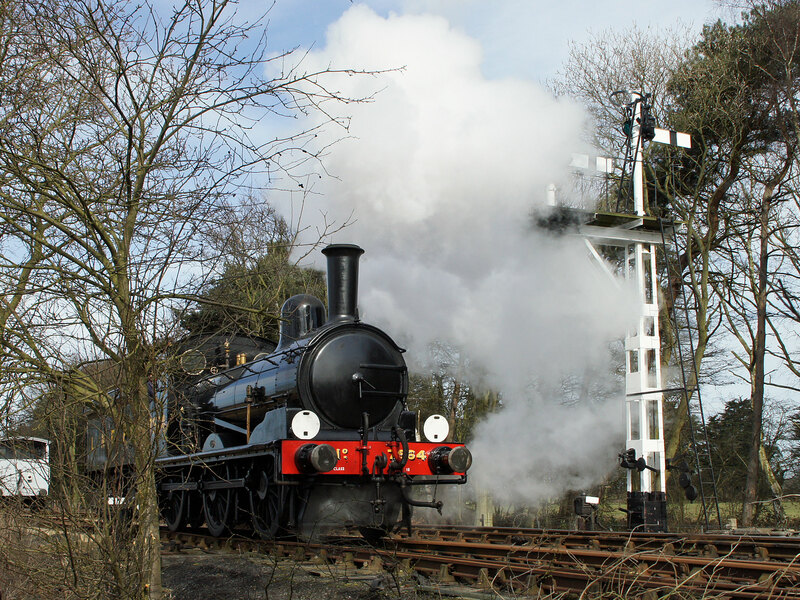 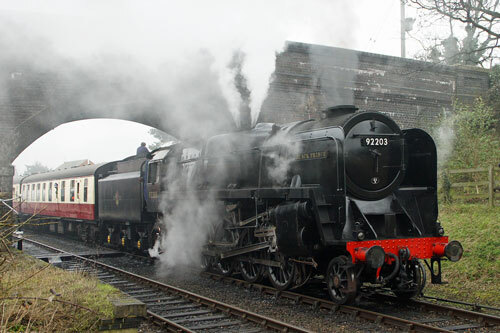 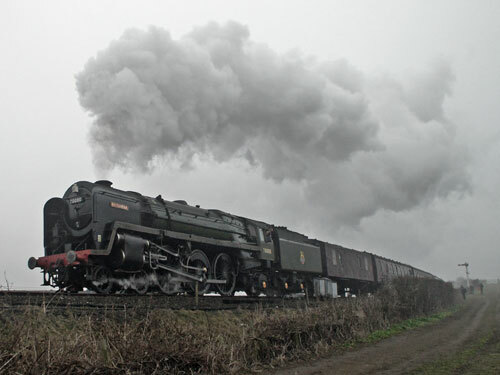 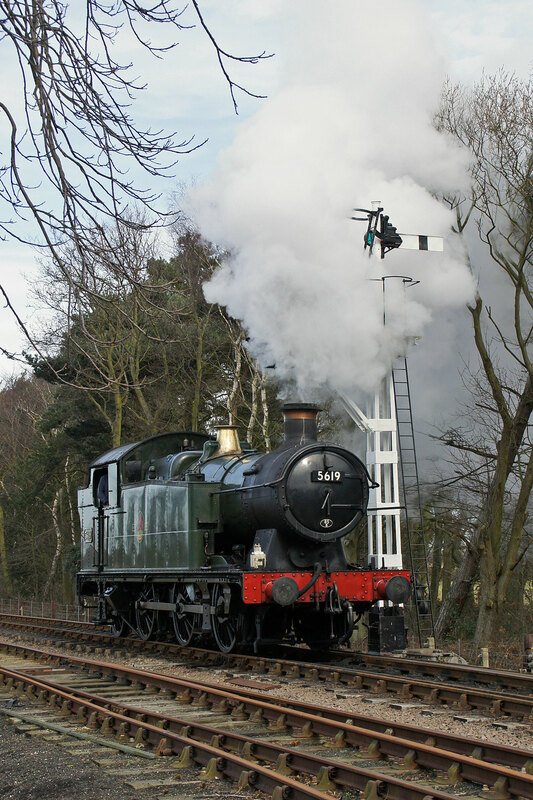 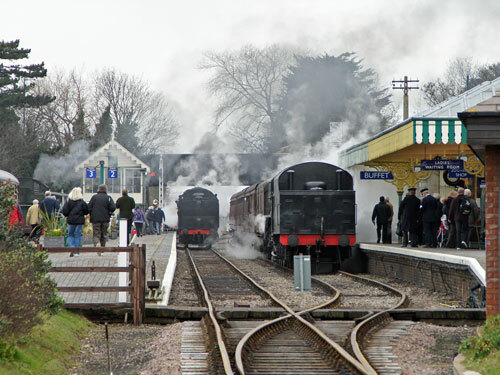 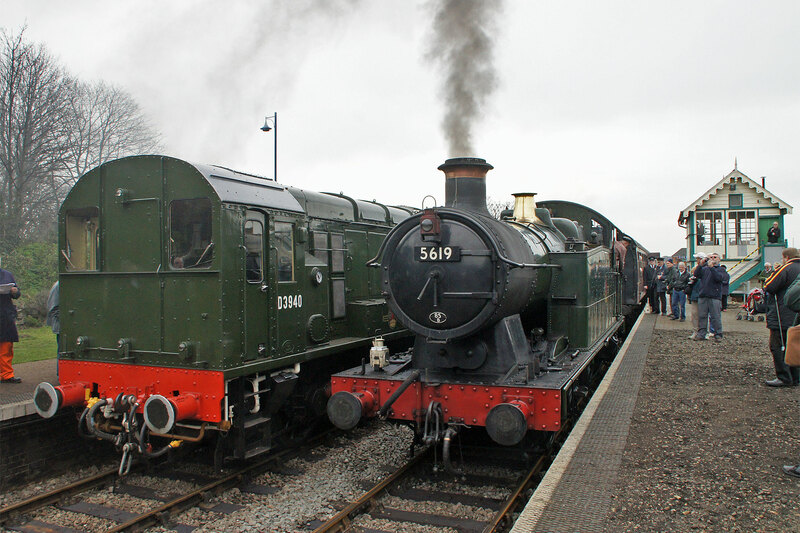 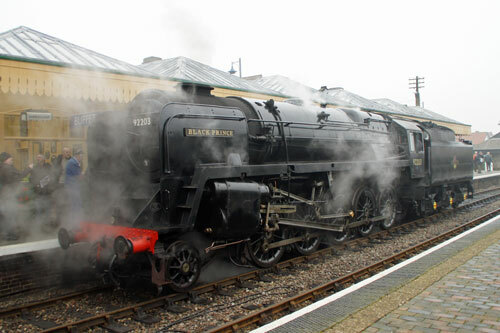 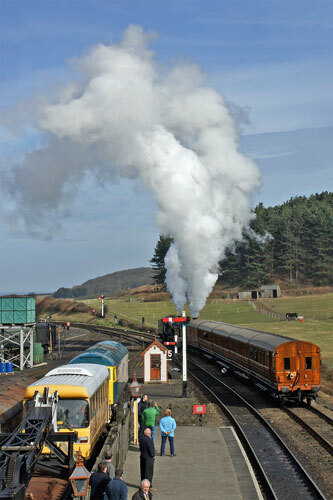 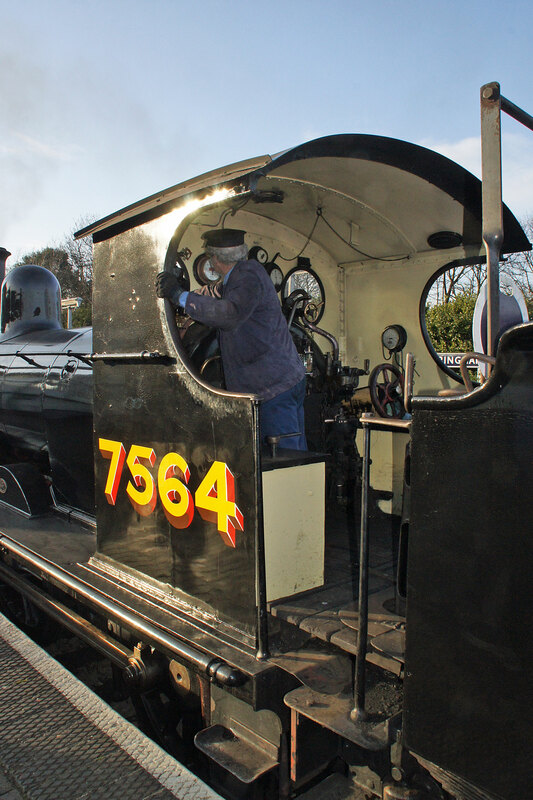 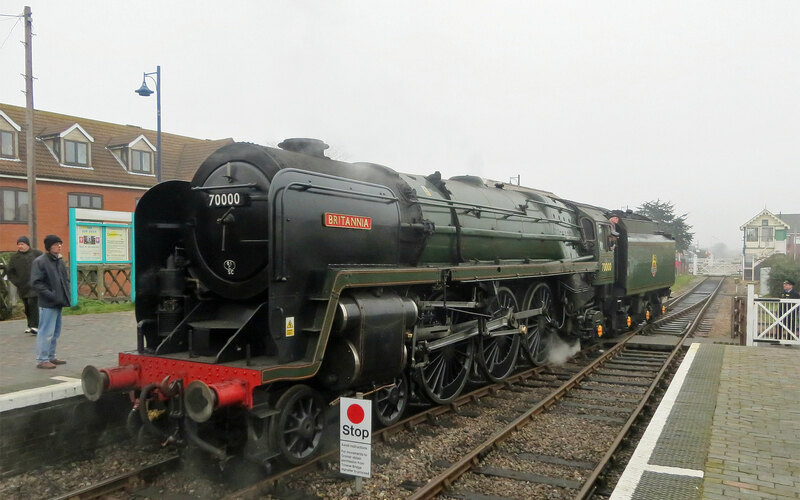 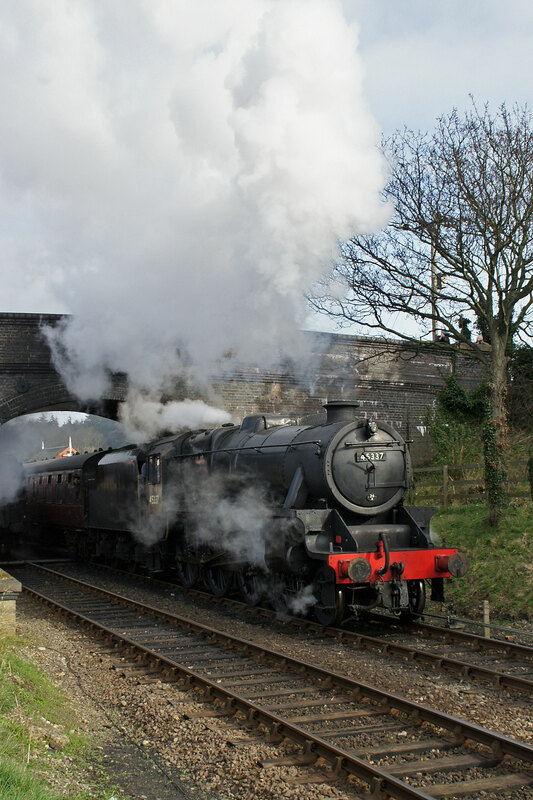 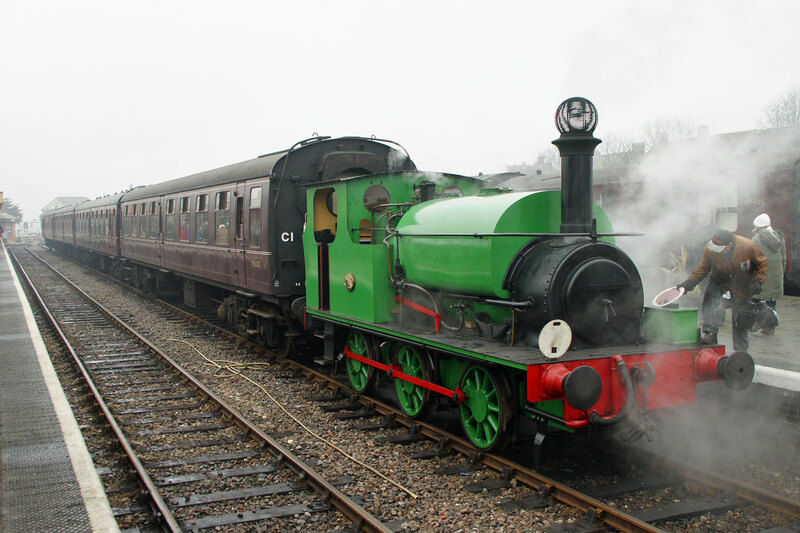 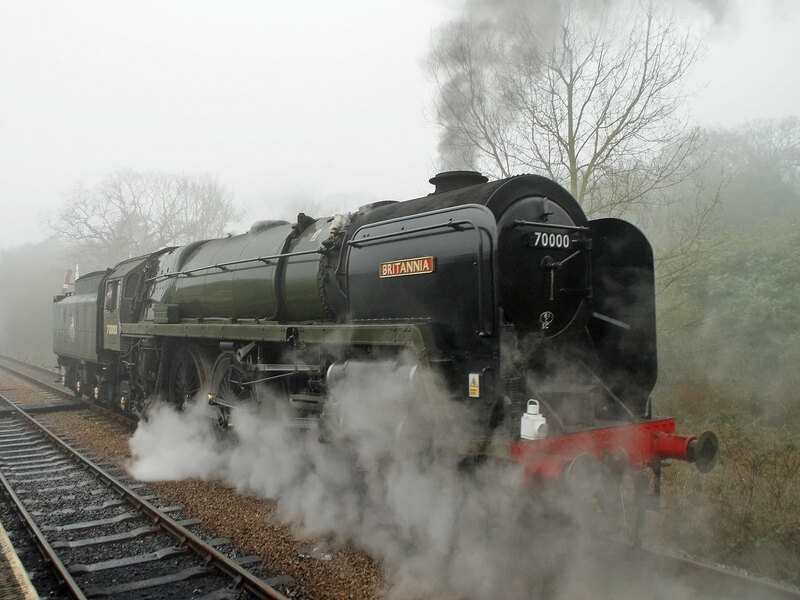 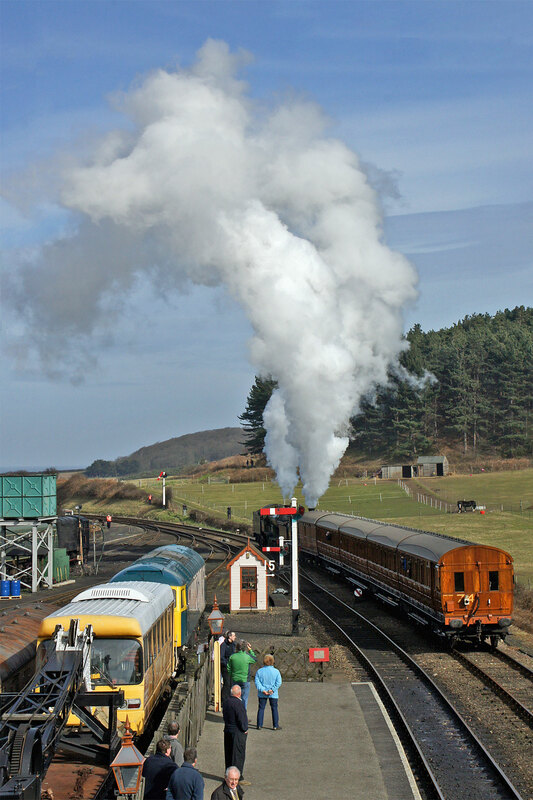 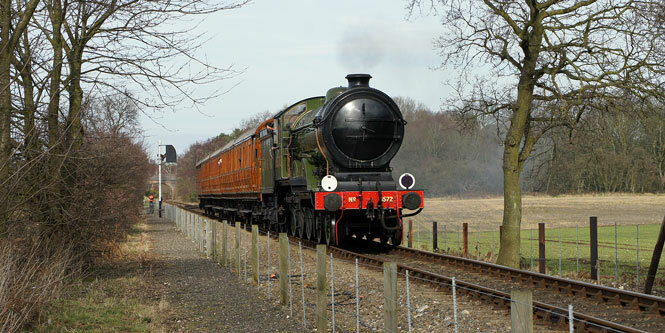 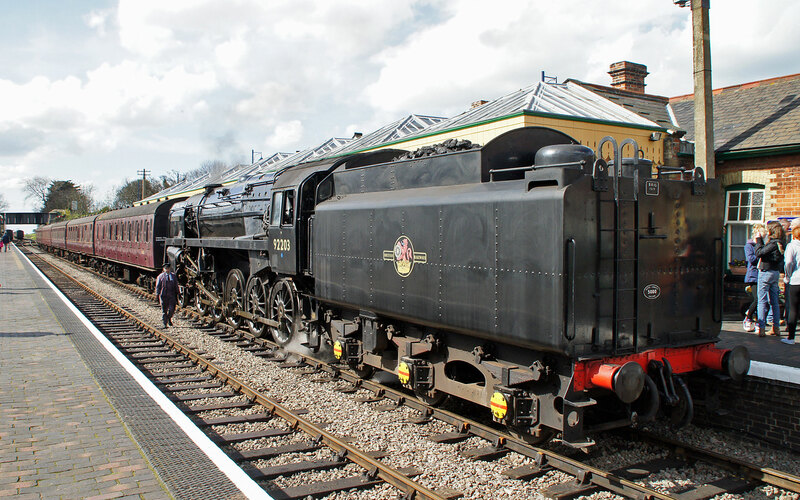 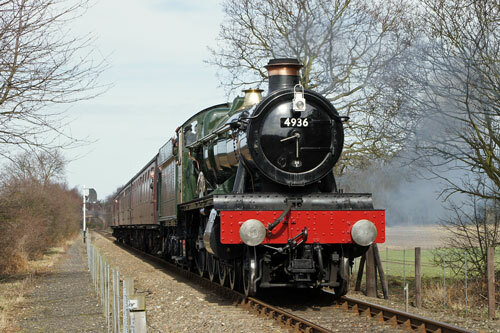 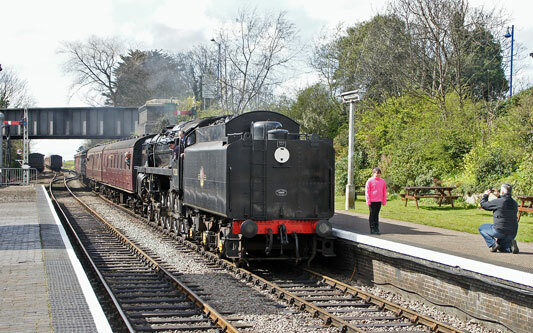 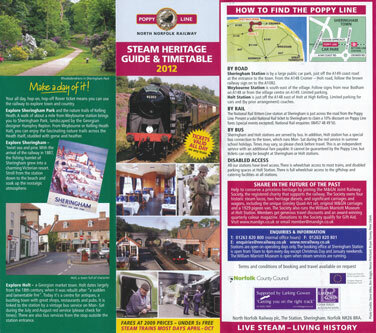 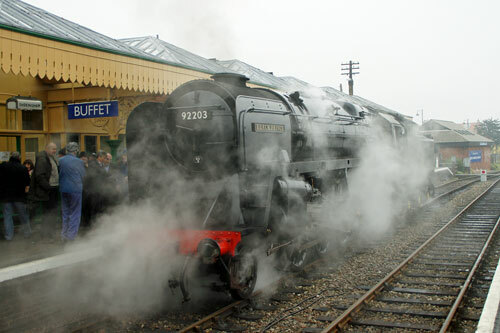 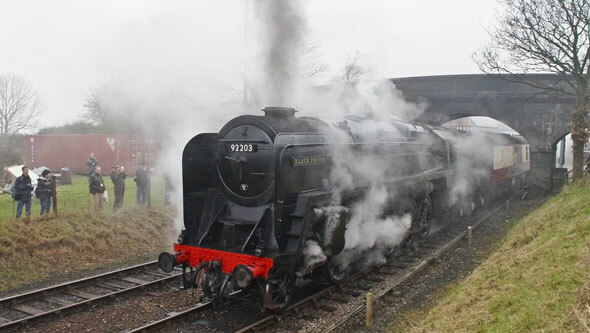 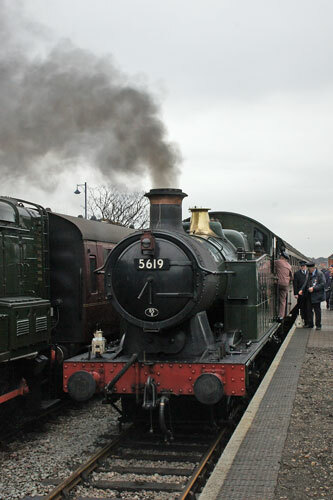 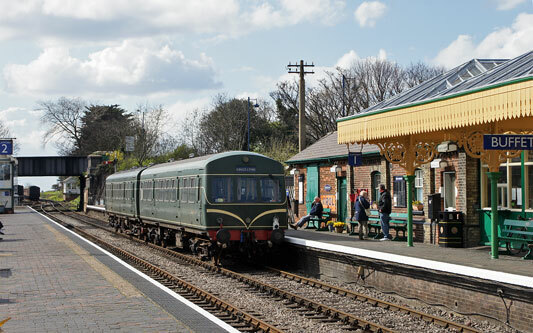 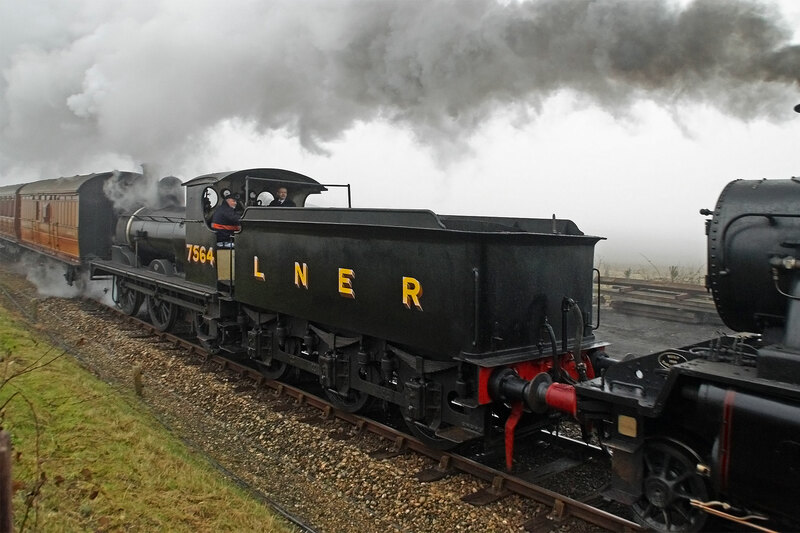 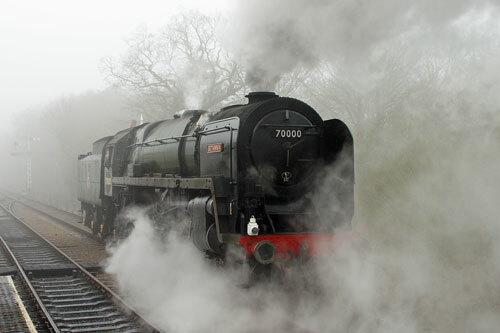 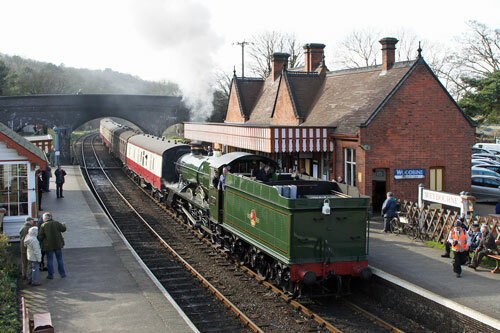 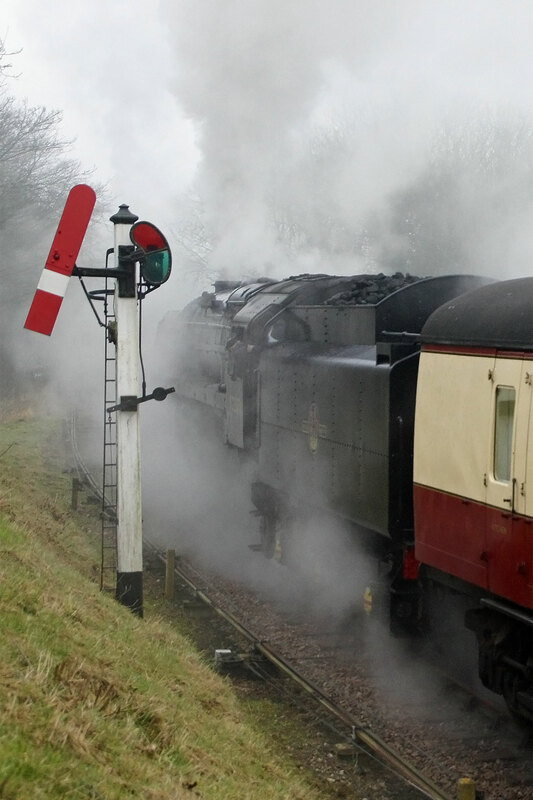 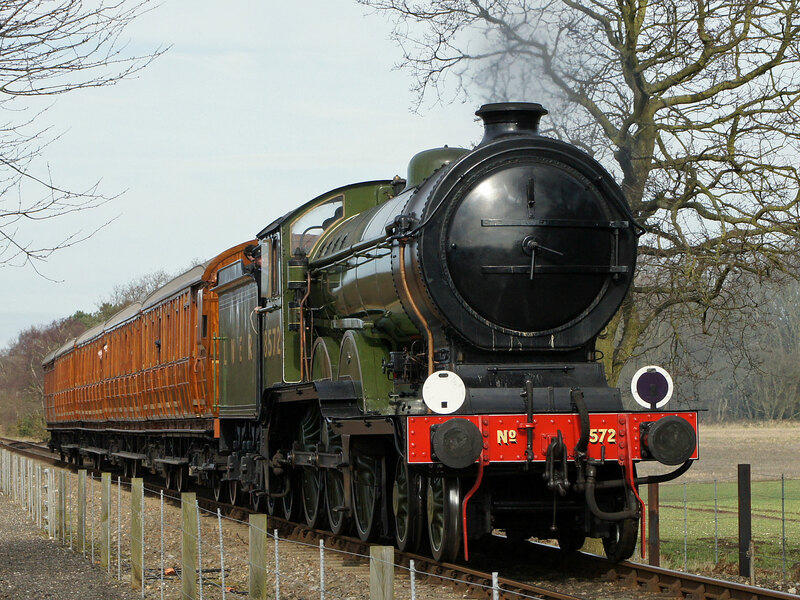 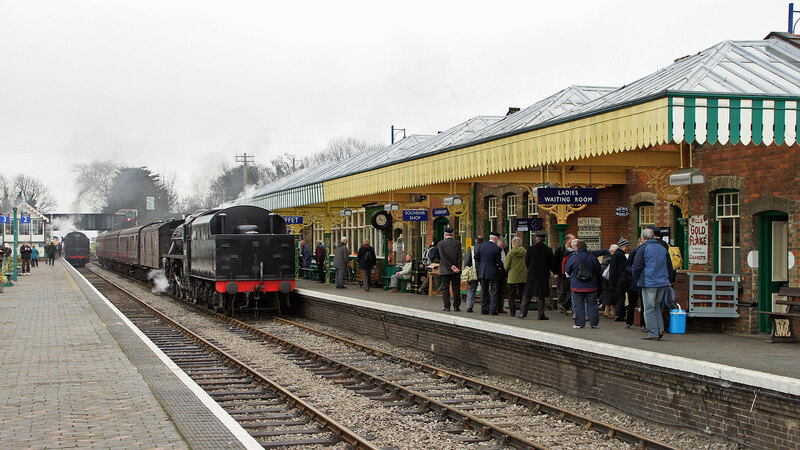 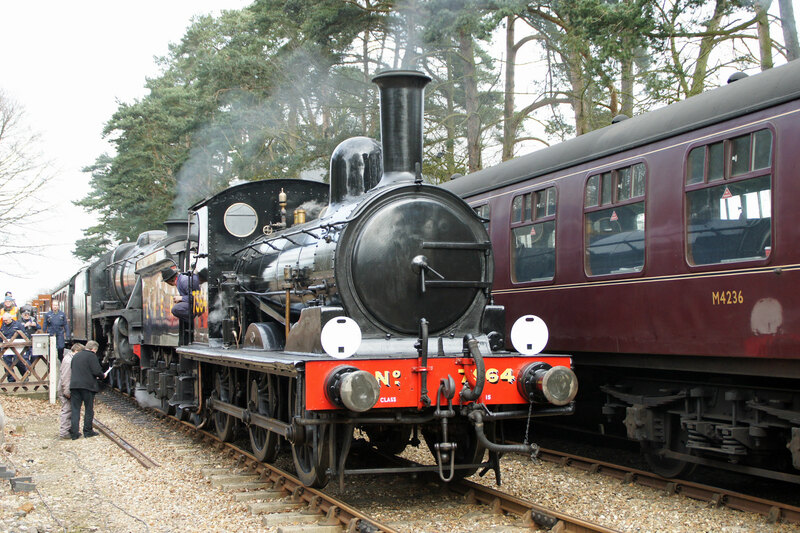 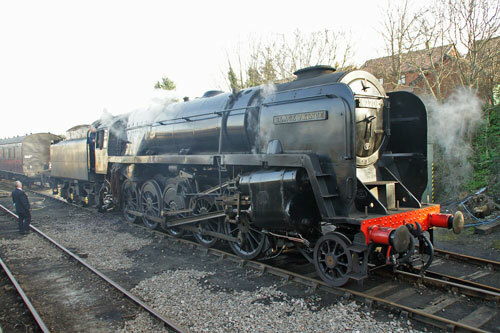 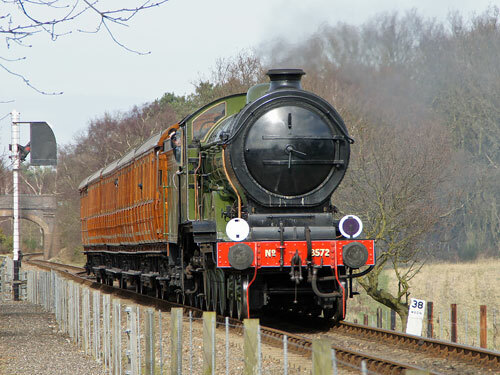 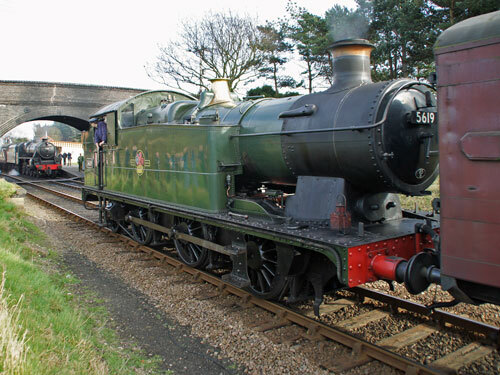 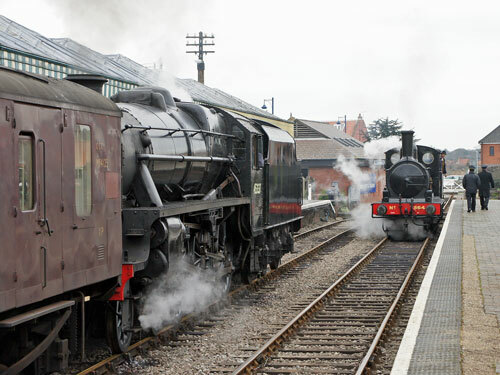 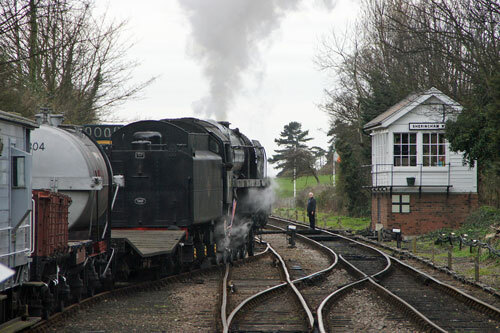 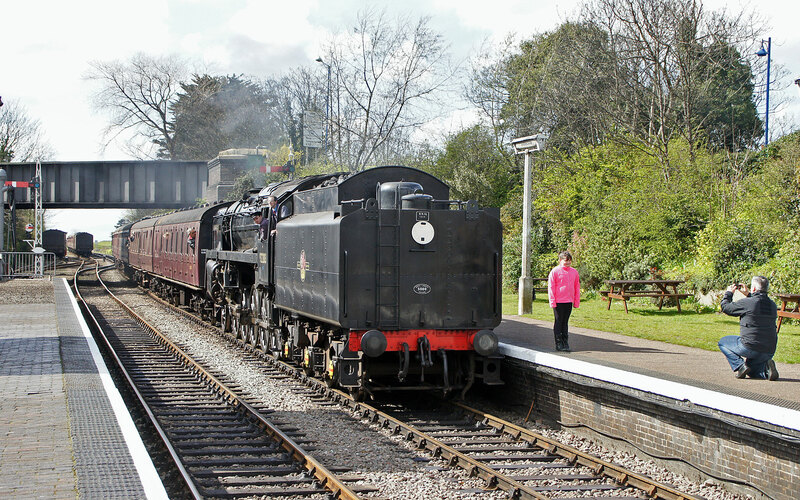 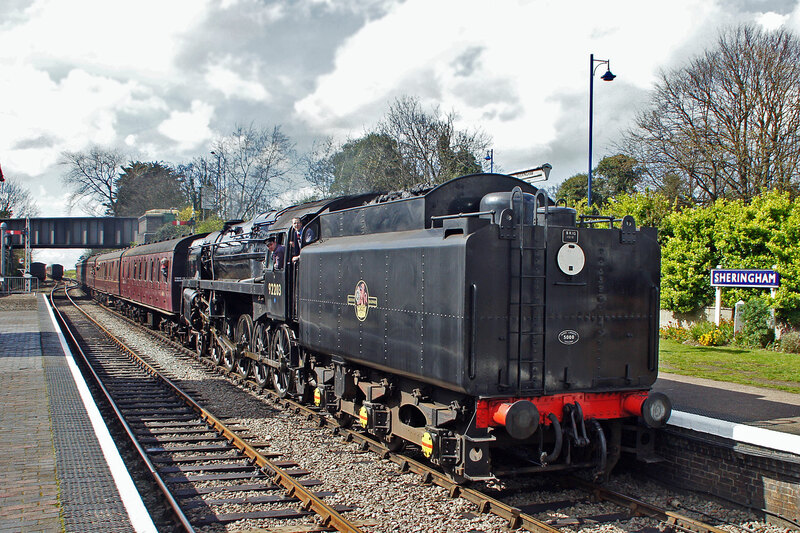 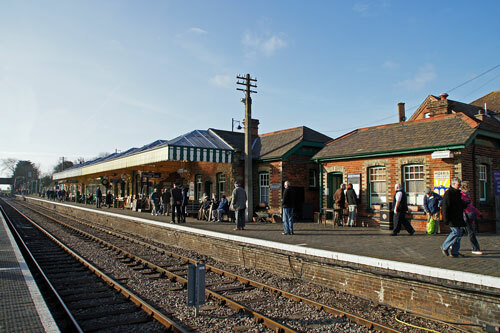 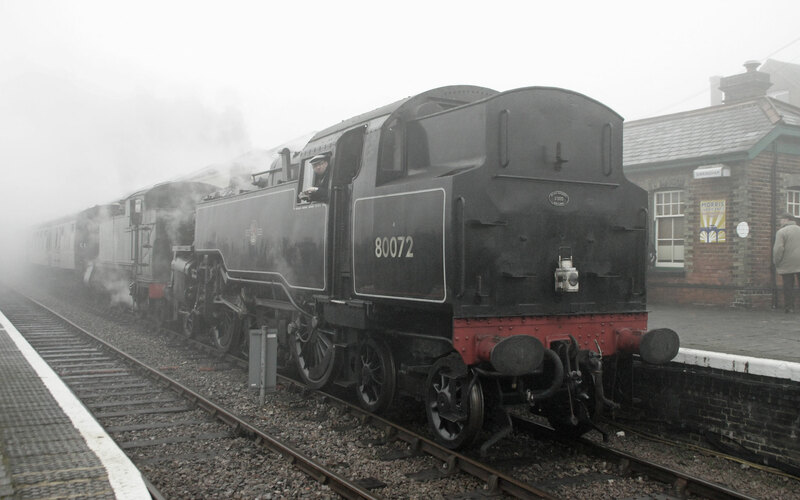 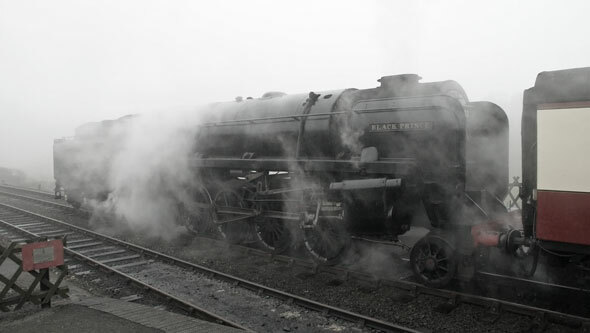 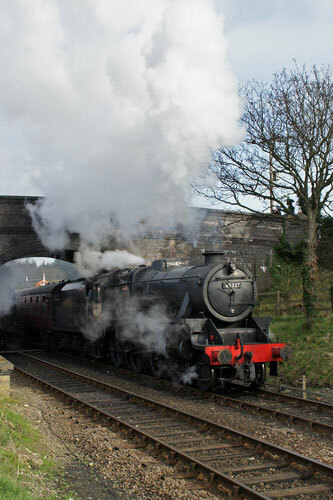 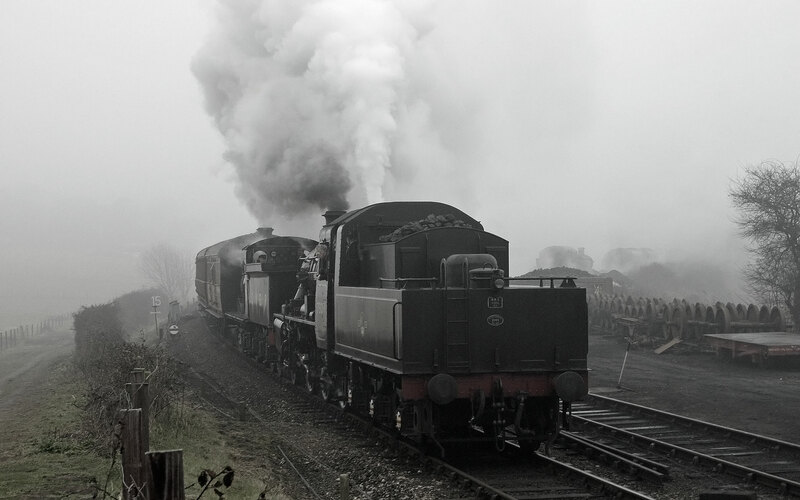 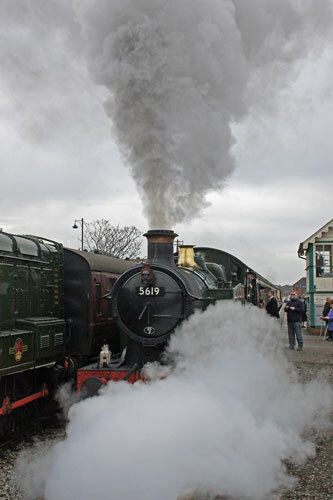 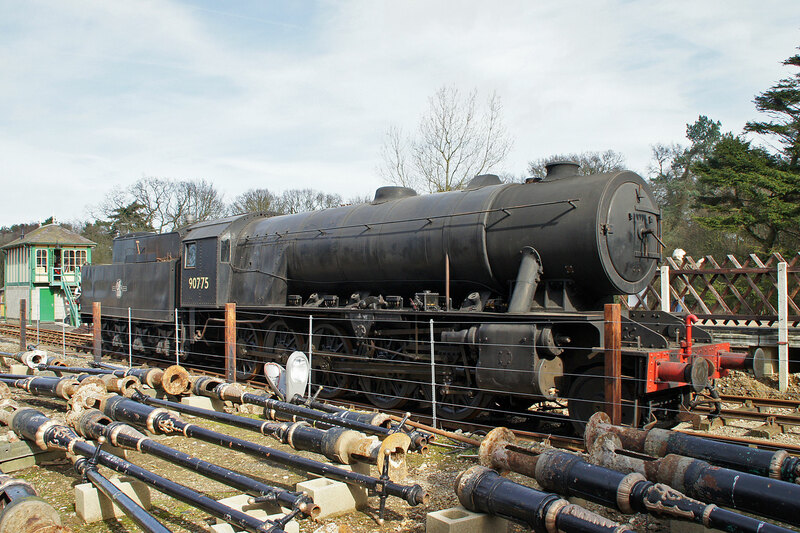 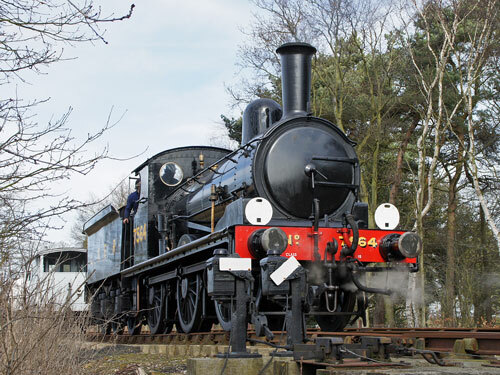 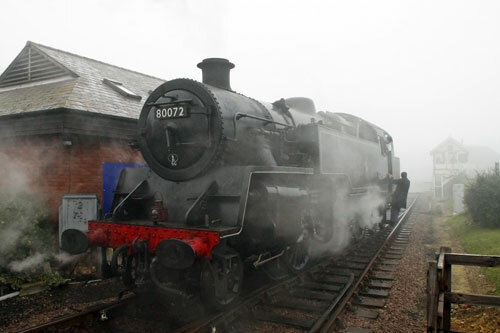 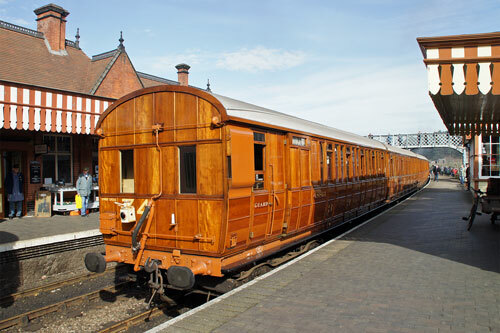 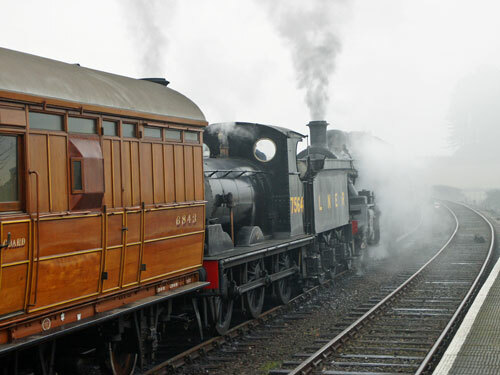 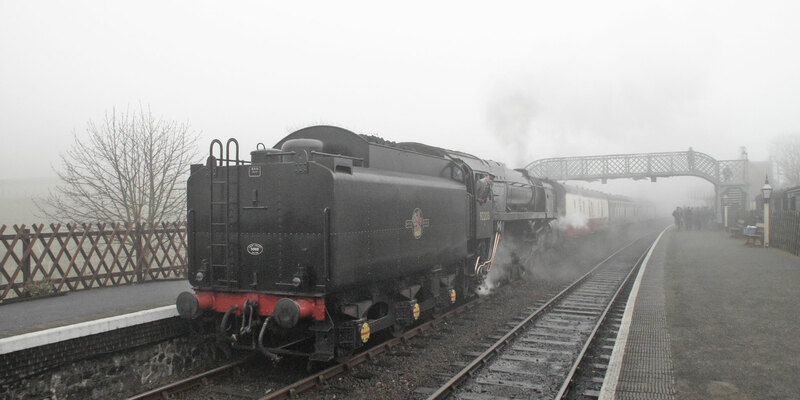 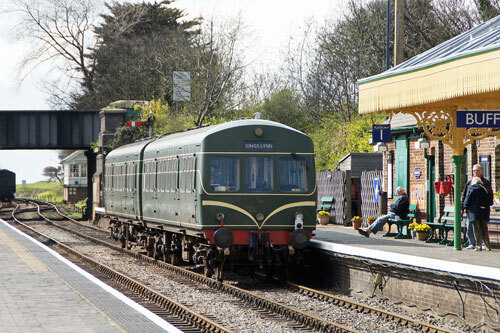 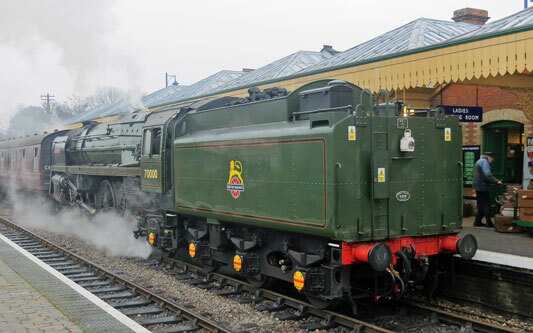 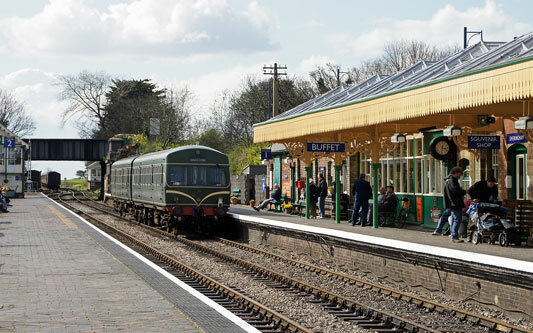 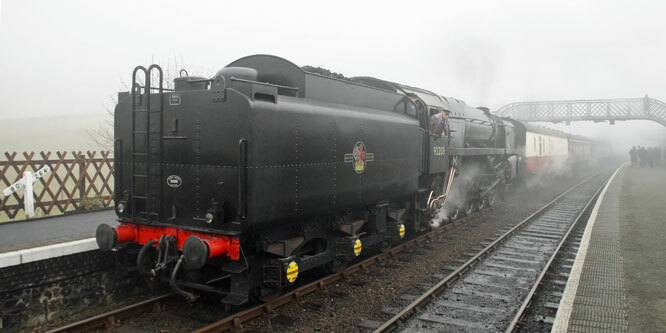 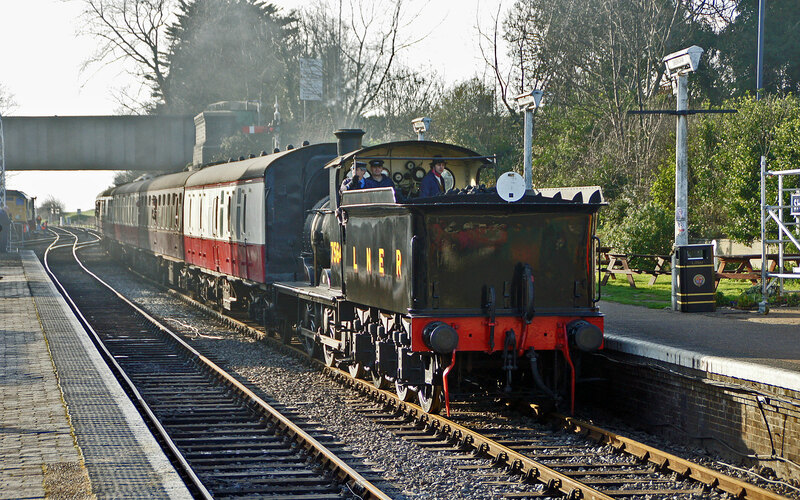 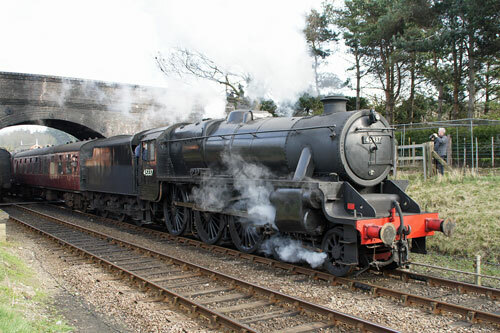 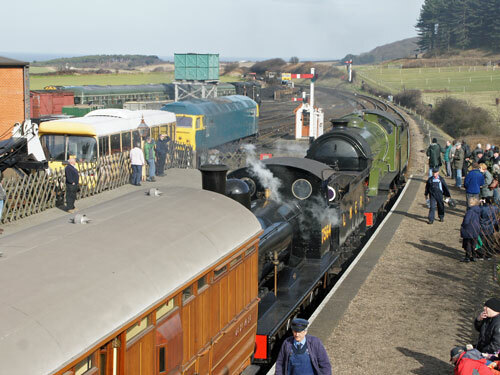 The 2013 North Norfolk Steam Gala was held over two weekends, 8th-10th and 16th/17th March. 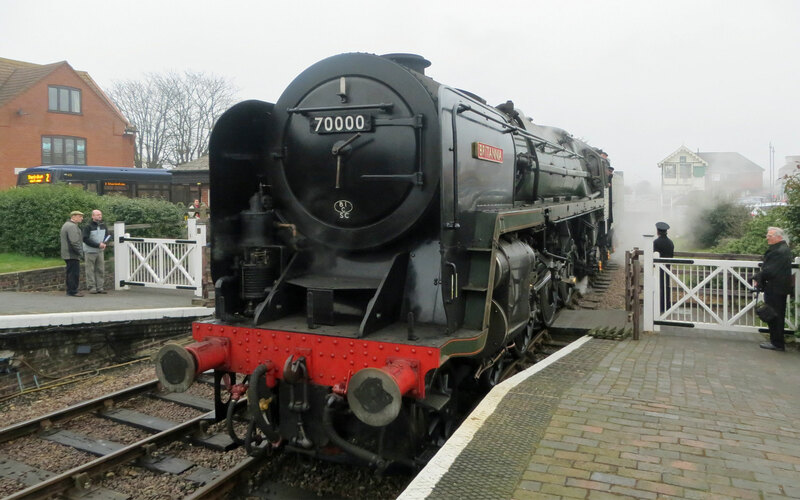 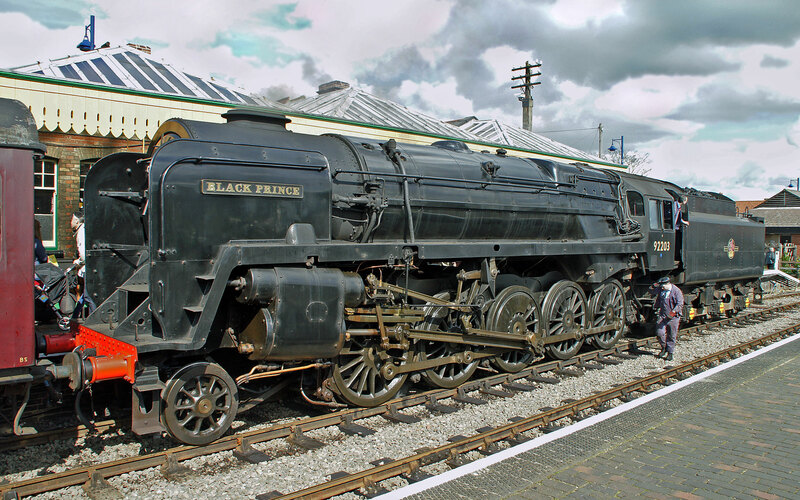 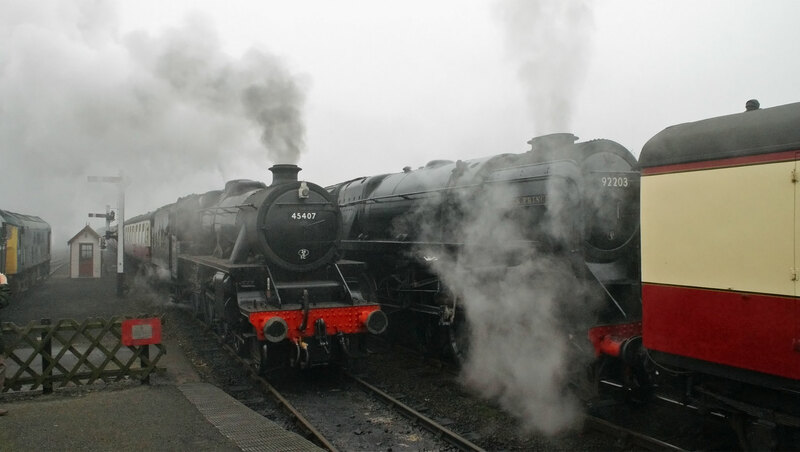 Initially marketed as a BR standards gala, only four standards were present on the first day, 7MT Britannia, 9F Black Prince, 4MT 80072 (Llangollen Railway) and 2MT 78019 (Great Central Railway). 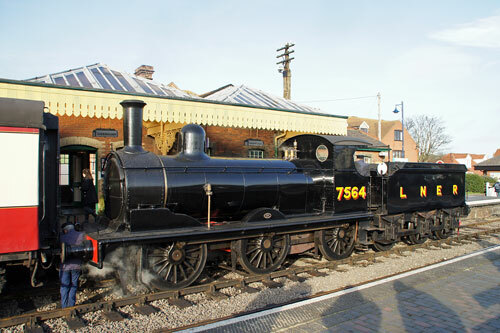 LMS Black Five Lancashire Fusilier (East Lancashire Railway) GWR Prairie 4141 (Epping-Ongar) and industrial Wissington (Mid-Suffolk Railway) were also present. 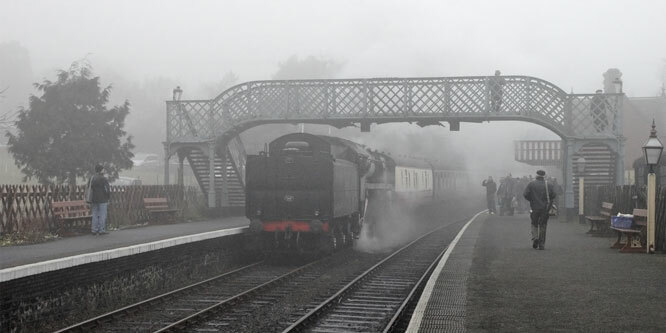 The weather on the first Friday was thick fog which delayed services, which were also held up by the temporary failure of 80072. On the Saturday there was 43mm of rain in nearby Cromer. 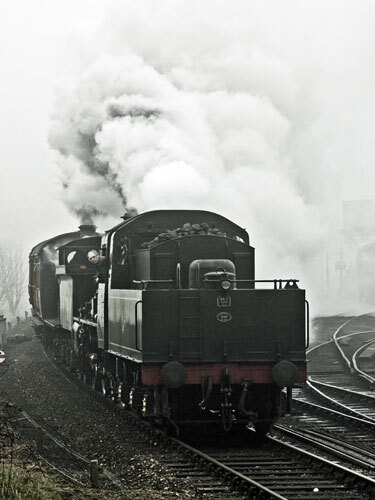 Snow was forecast for the Sunday. 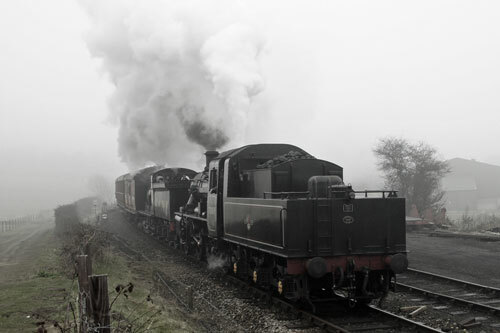 The images just below try to capture the weather on the day - other images are shown in the individual loco sections. 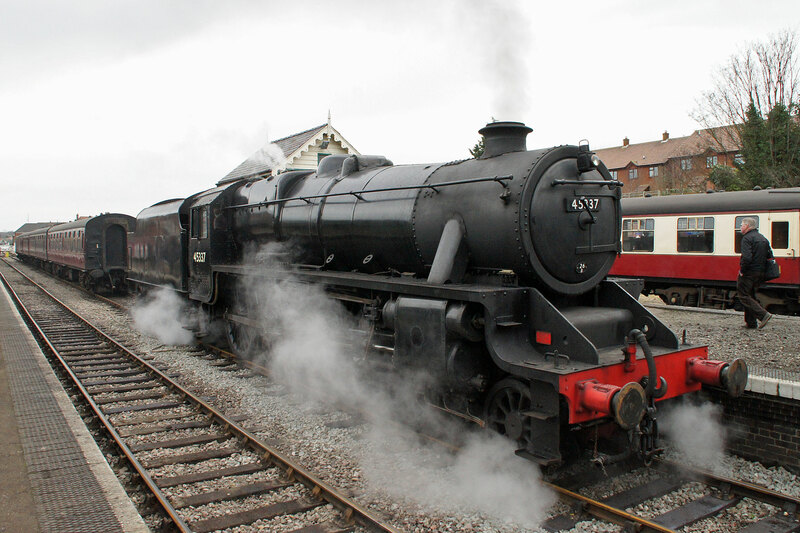 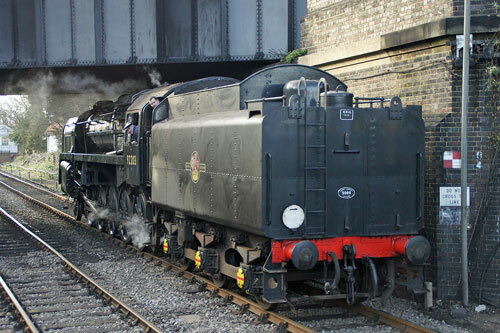 The B12 is the M&GN society's flagship locomotive. 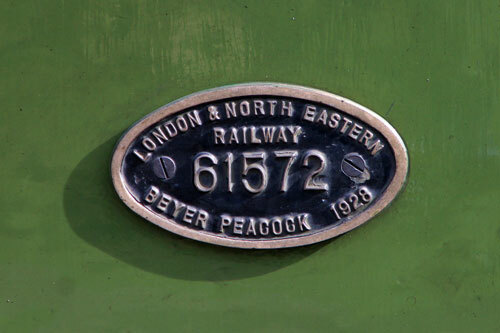 It was built by Beyer-Peacock in 1928 to a Great Eastern design, for express passenger services in East Anglia. It was preserved by the M&GN society in 1963. The engine is currently in LNER apple green livery. 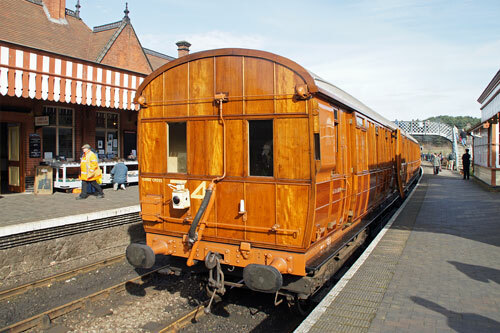 The J15 was built at Stratford in 1912 for use on pick-up goods and branch passenger trains across the Great Eastern Railway network. The engine survived until dieselisation, when it was preserved by the M&GN society. 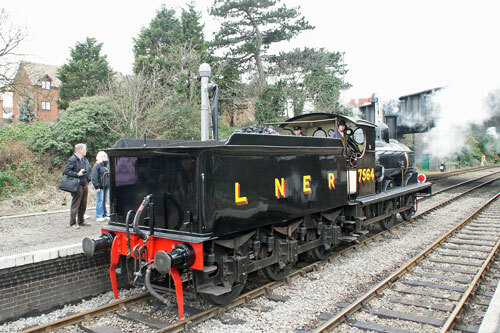 The engine is currently in LNER black livery. 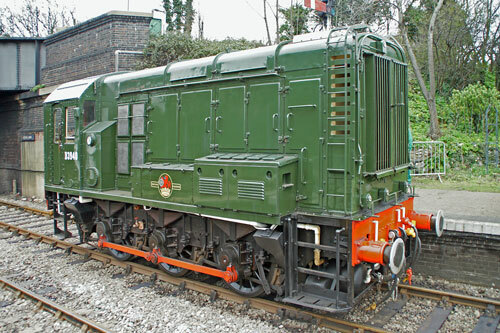 WD 90775 was built at Glasgow in 1943 as part of an order for the Ministry of Supply. 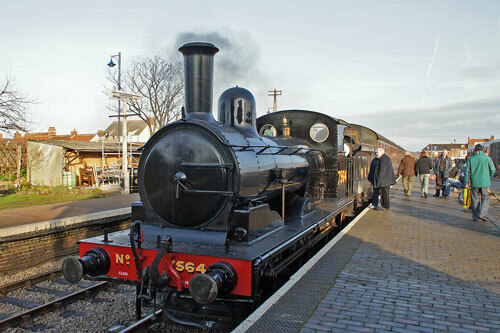 The engine from new was sent abroad to work, and never worked for British Railways. 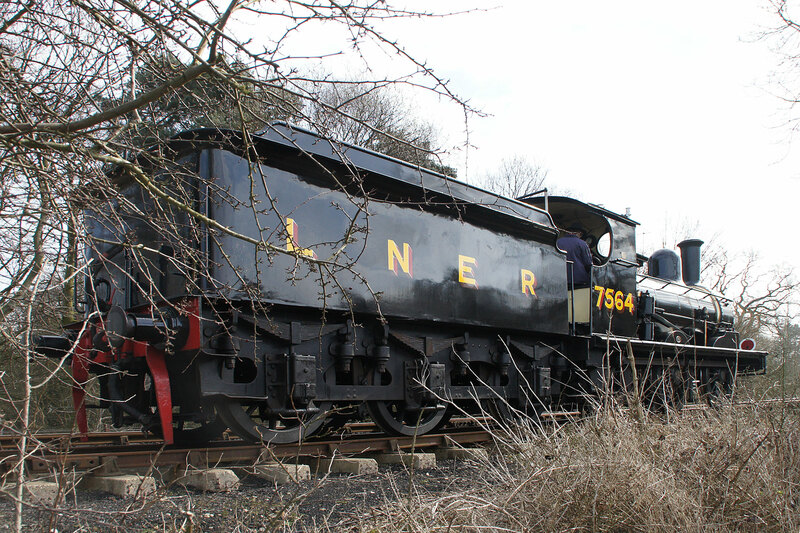 The locomotive was repatriated for preservation in 1984, and has been working on the NNR since 2003. 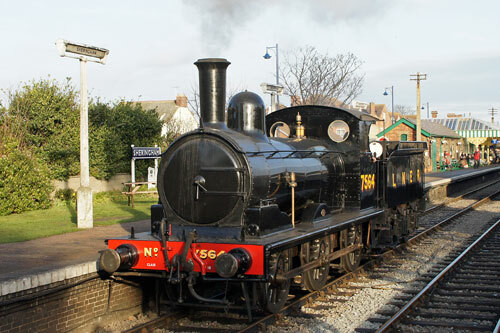 It was purchased by the M&GN society in 2006. 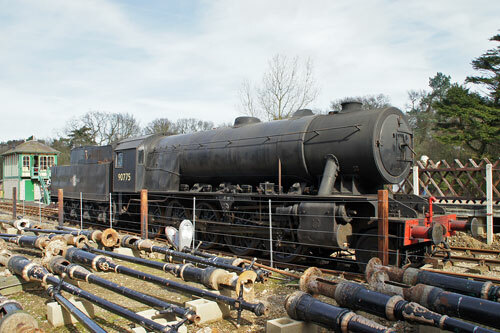 90775 is currently out of service awaiting a major overhaul. 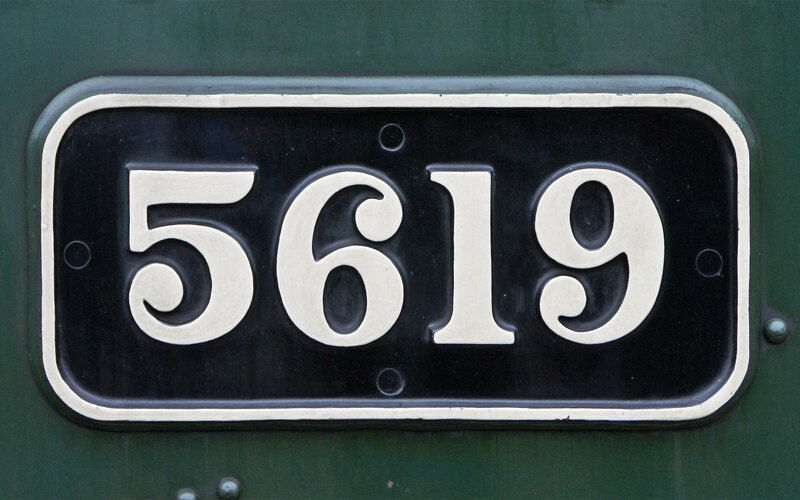 The engine is numbered 90775, as the last British Railways engine of the same design was numbered 90774. 92203 was built in 1959 by British Railways, and allocated to heavy iron ore trains on Merseyside. 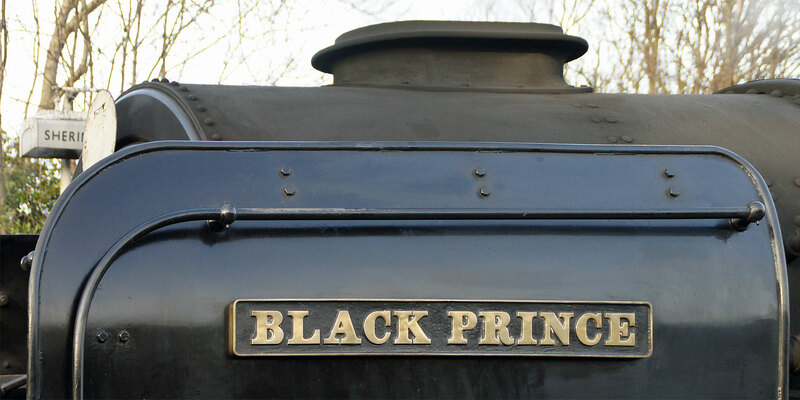 The engine was withdrawn in 1967 and purchased by David Shepherd, who named the locomotive Black Prince. 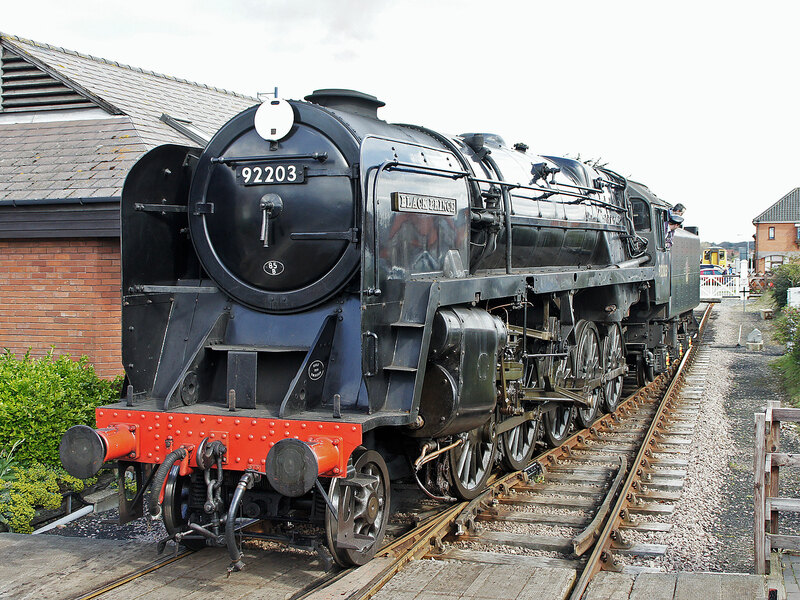 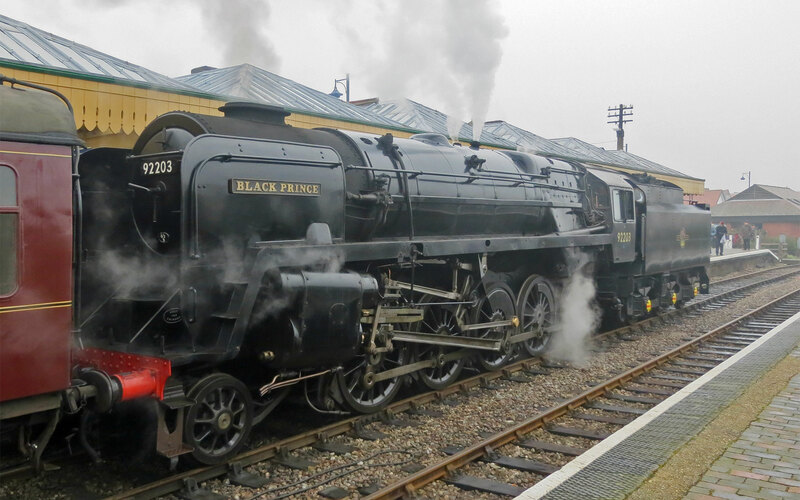 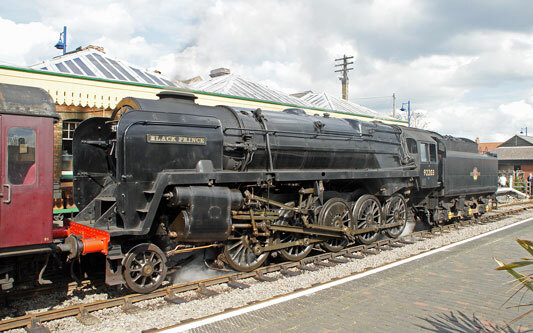 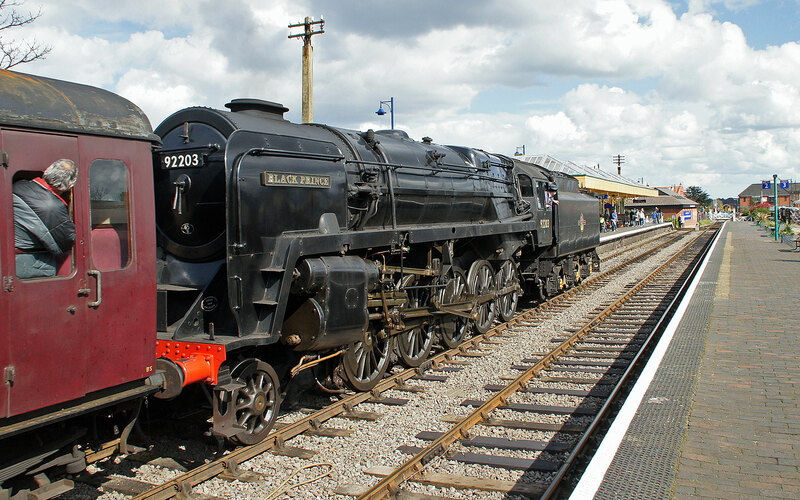 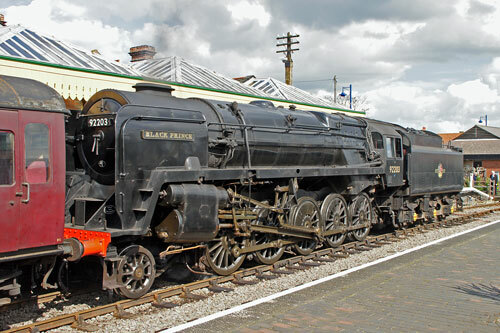 92203 is on an extended loan to the North Norfolk Railway, and painted in BR black livery. 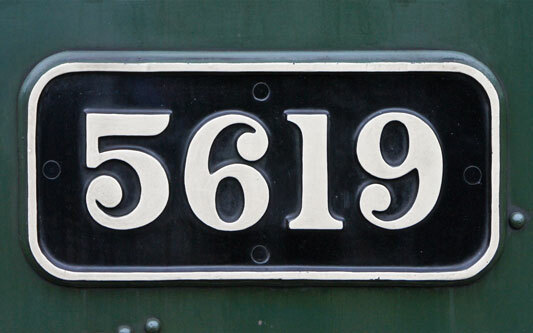 5619 is a Great Western 56xx locomotive, built at Swindon for use in the South Wales valleys hauling coal trains. 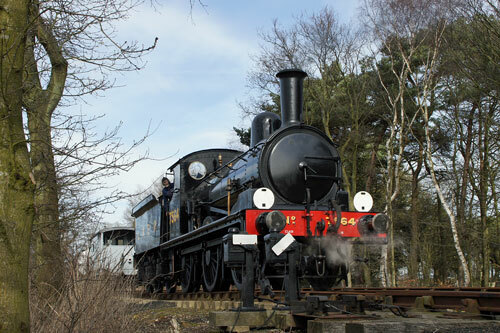 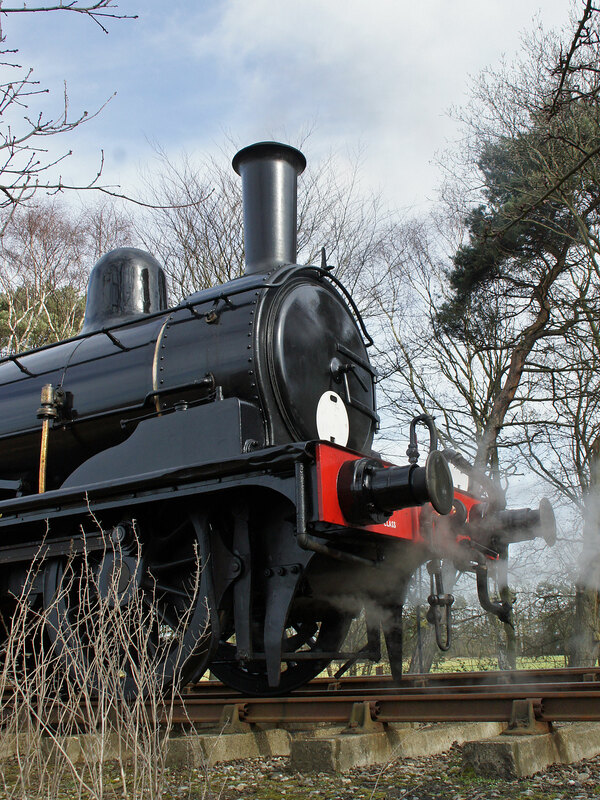 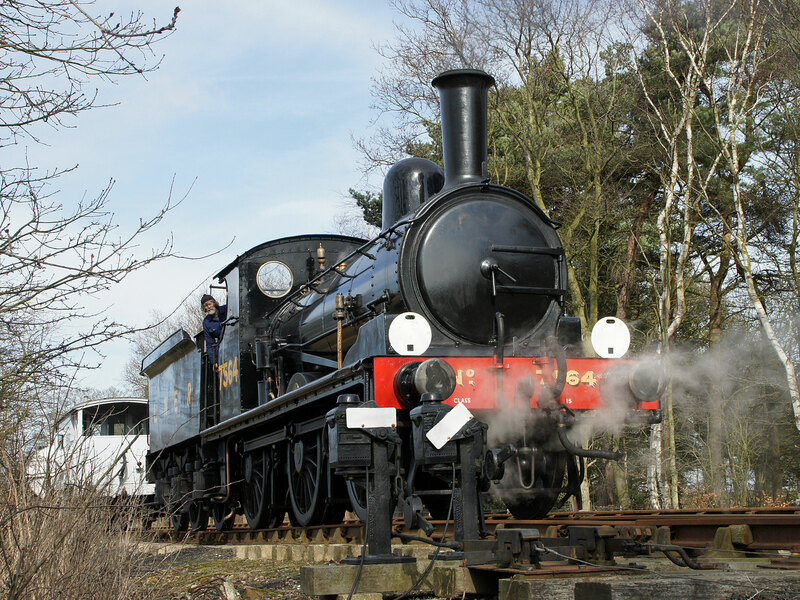 The locomotive is owned by the Telford Horsehay Steam Trust and is on an extended loan to the NNR. 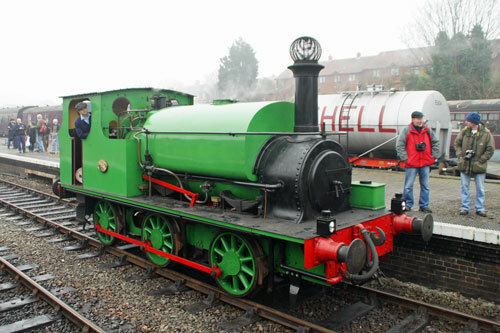 It is currently painted in BR green livery. 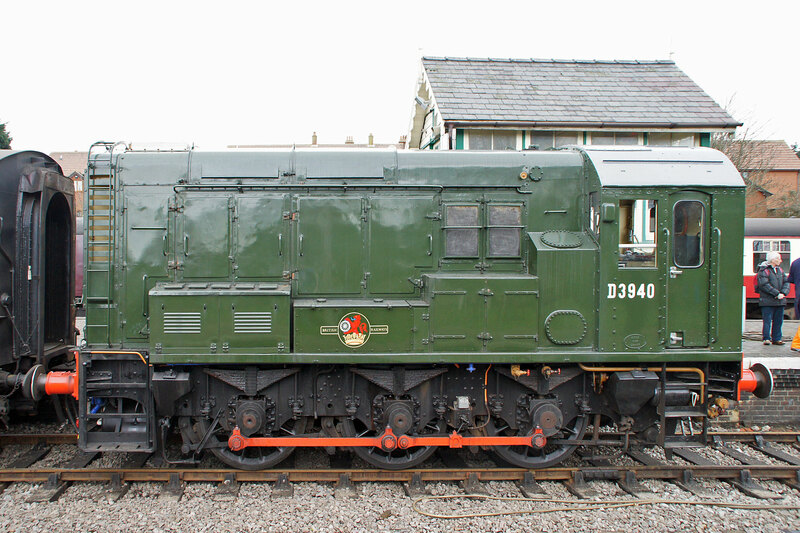 D3940 is a class 08 locomotive, built in 1960 at Derby. 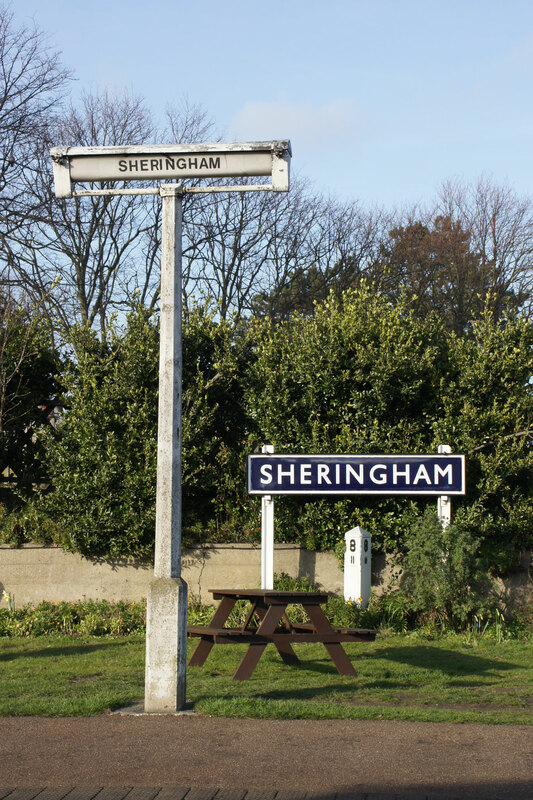 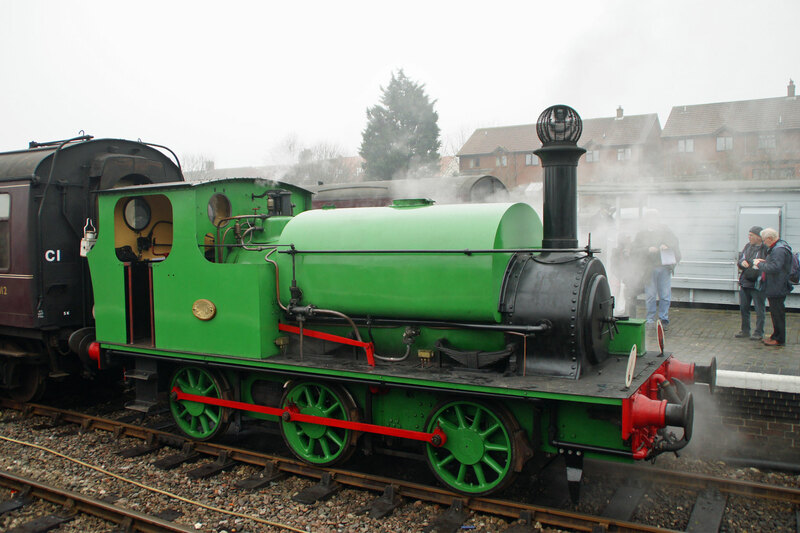 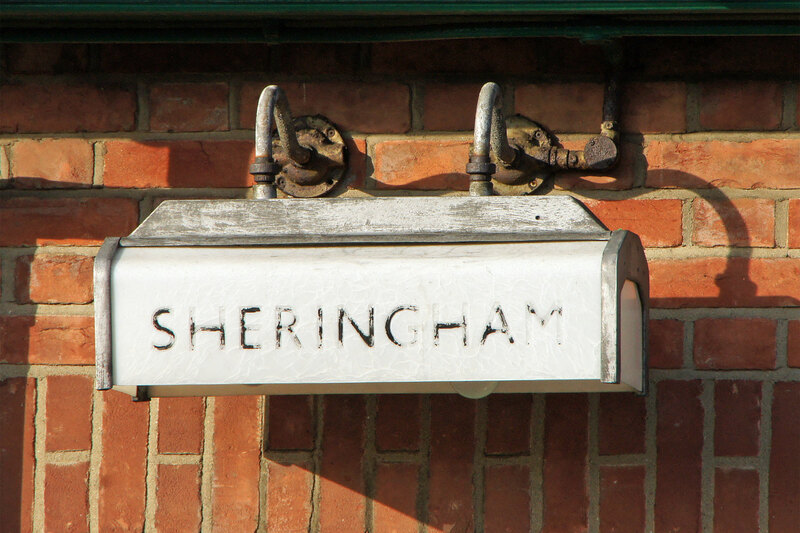 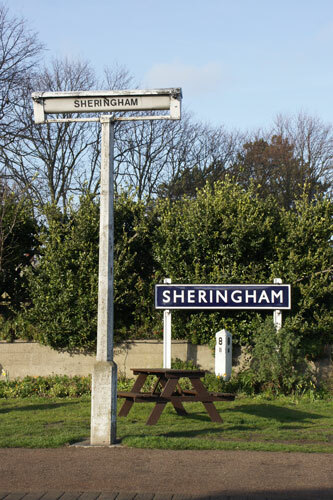 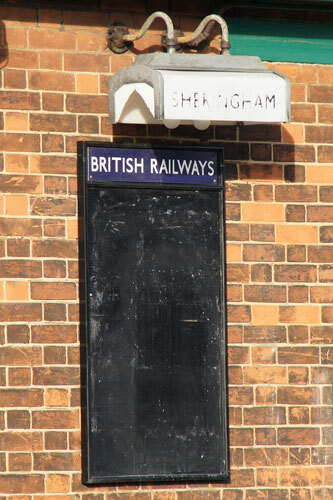 The engine has spent time based at Colchester, and is now normally based at Sheringham. It has been restored to original green livery as built, with its original number D3940. 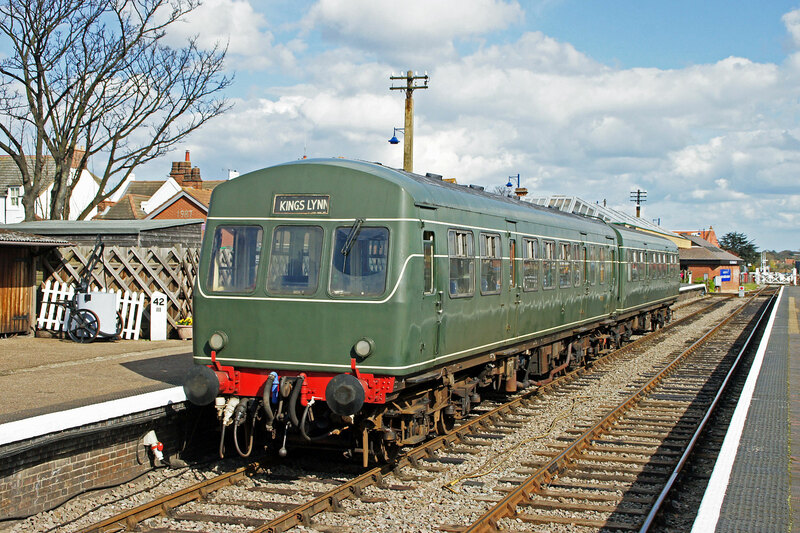 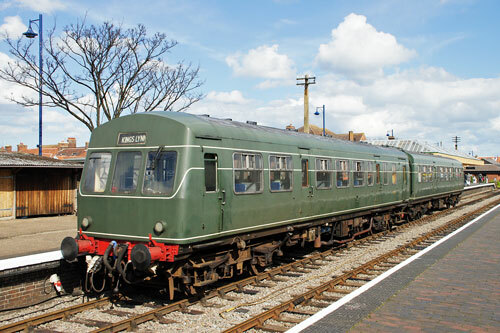 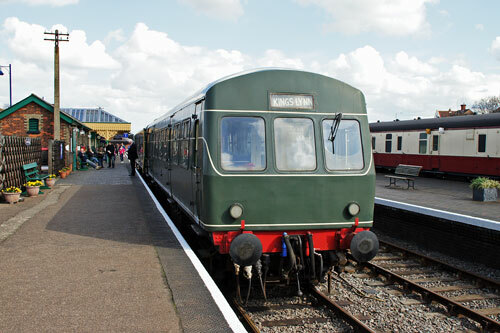 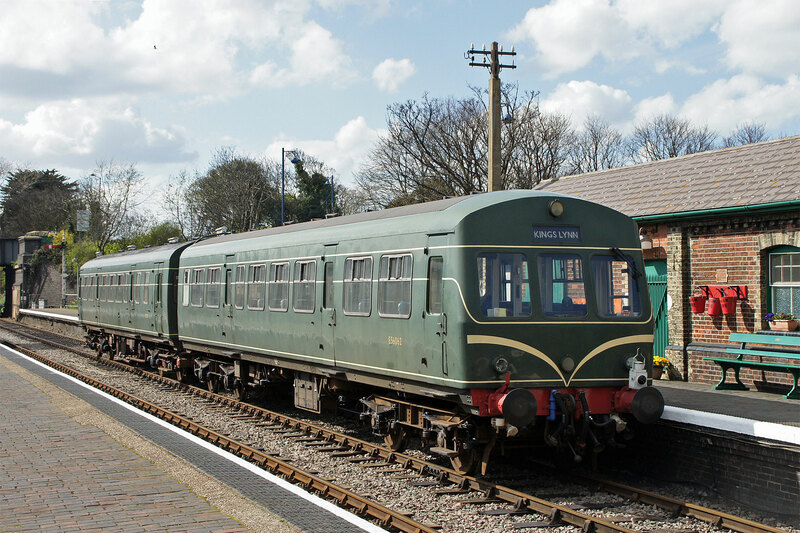 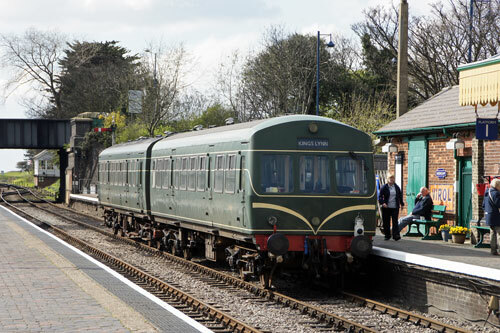 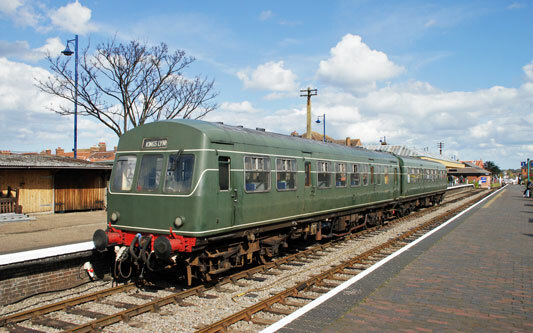 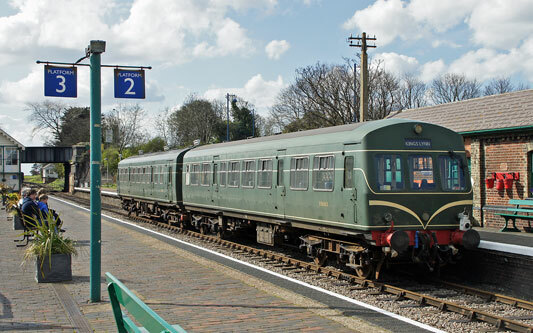 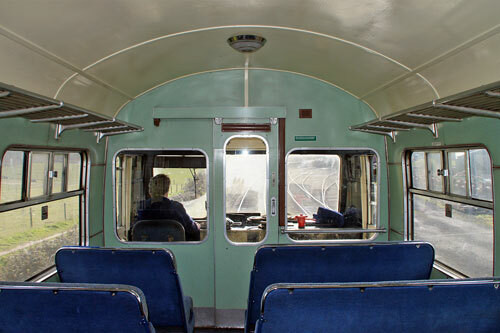 The Class 101 Diesel Multiple Unit (DMU) is formed of vehicles 51228 and 56062, the former being a Driving Motor Brake vehicle, whereas the latter is a Driving Trailer. 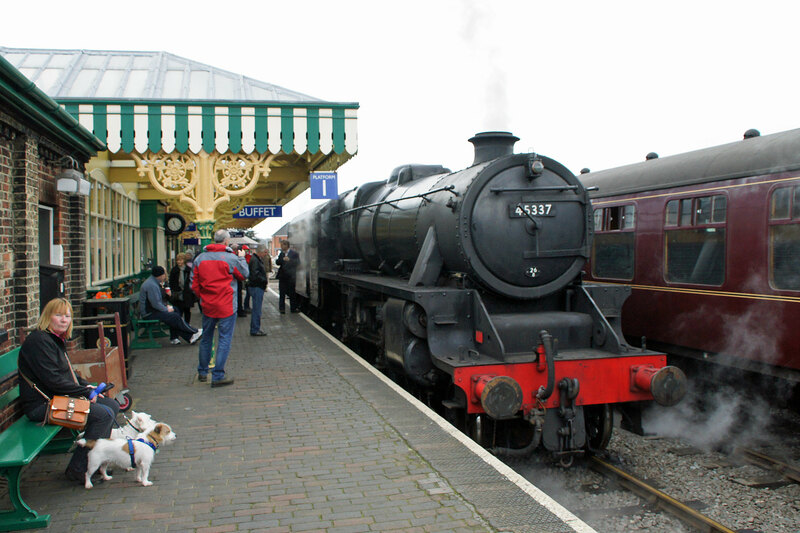 The class were designed to replace steam hauled trains on branch lines with low passenger numbers. 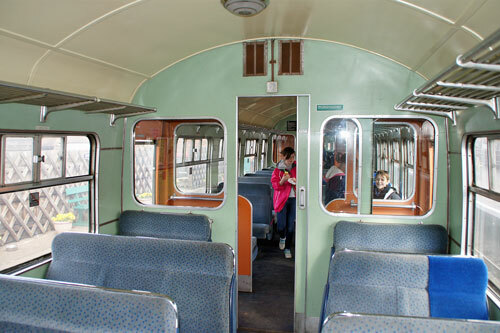 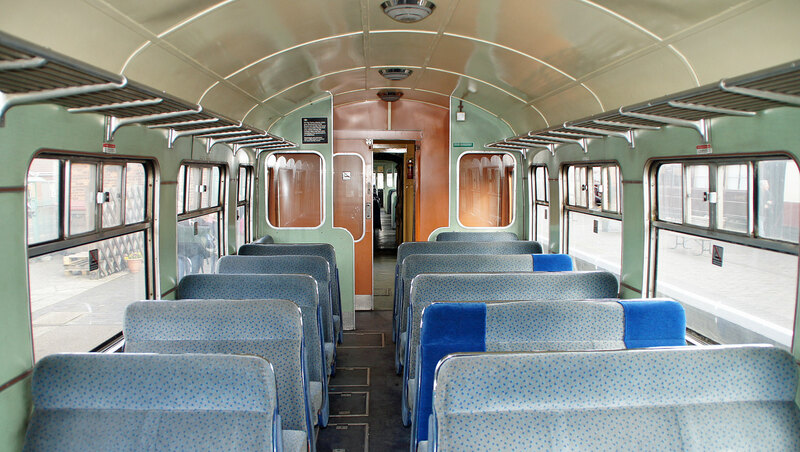 The class 101s were built by Metropolitan-Cammell in Birmingham, and the final members of the class were withdrawn from local services around Manchester in 2003. 101681 has been restored to BR green livery, as carried when first introduced, the set is owned by the North Norfolk Railway. BR &MT 70000 Britannia was built at Crewe in 1951, the first BR Standard loco to be built and first of 55 Britannia Class pacifics. 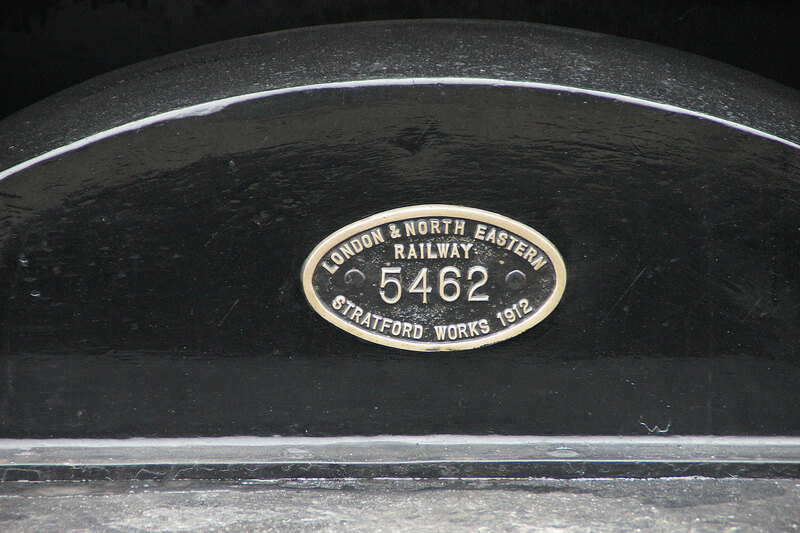 It was bought by the Britannia Locomotive Company from BR in 1969. 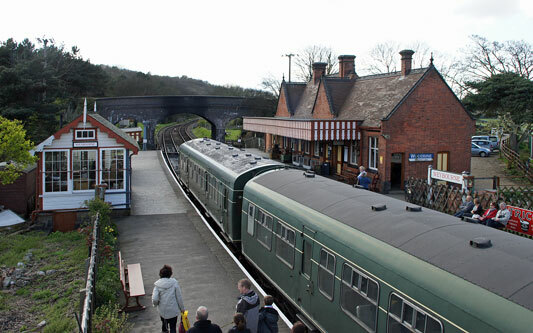 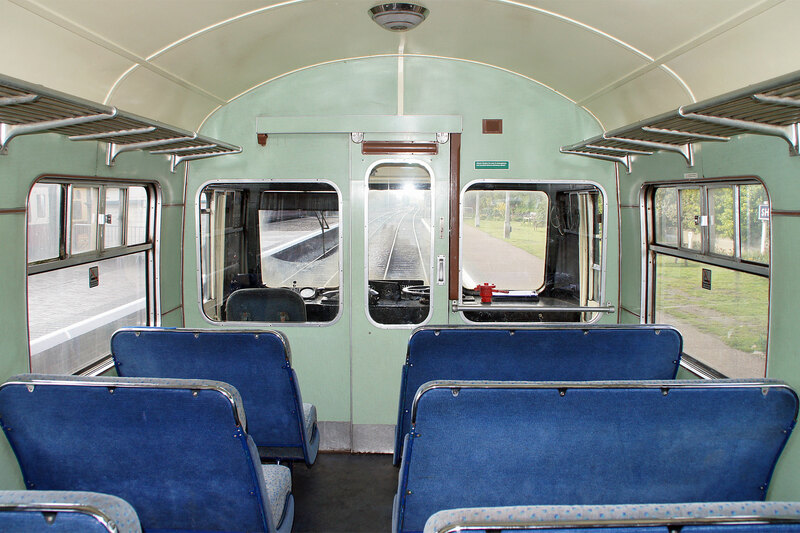 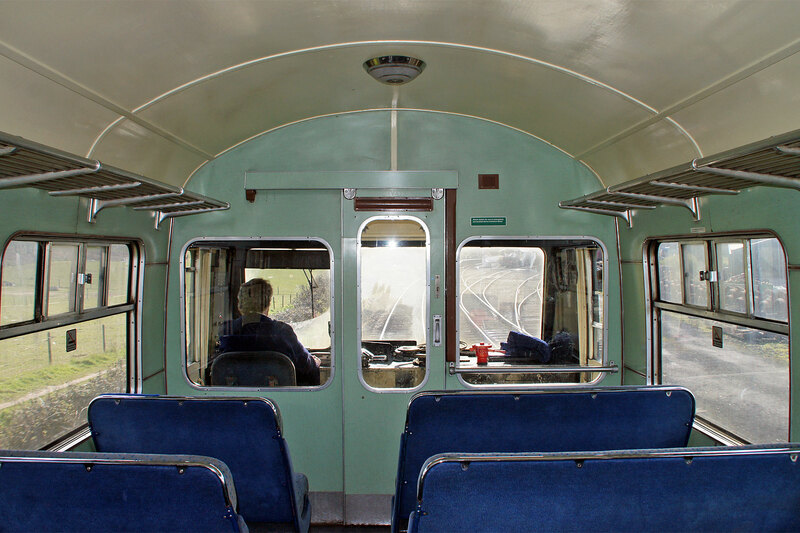 It was based at the Severn Valley Railway and returned to service in 1980. It was too heavy for regular SVR use so was moved to the Nene Valley Railway in 1981. 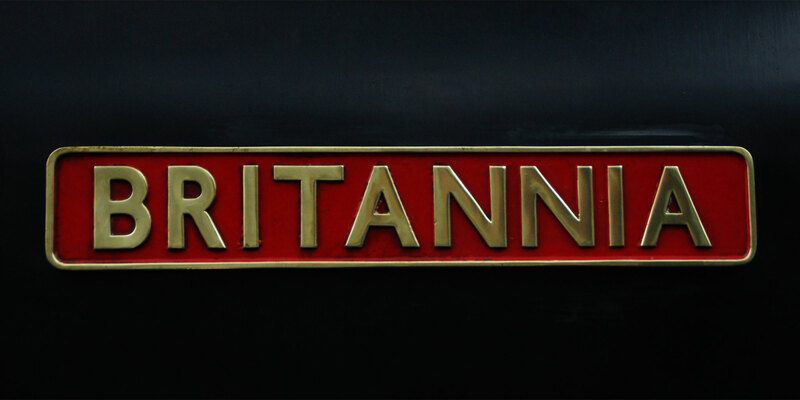 Restored to main line standards in 1991, Britannia ran specials until 1997 when it withdrawn with boiler problems. 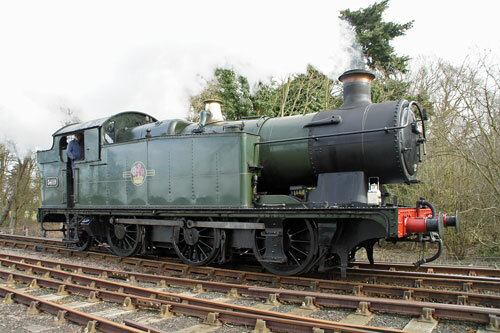 Following a further overhaul it returned to main line service in 2011. 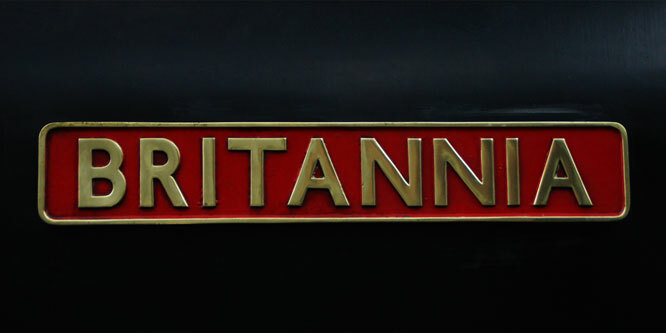 Britannia visited the North Norfolk Railway Spring Gala in 2013. Black Five 45337 was visiting for the North Norfolk Railway Spring Gala 2012. Kinlet Hall was visiting for the North Norfolk Railway Spring Gala 2012. No.80072 is a British Railways Standard Class 4MT 2-6-4T built at Brighton in 1953 and withdrawn 1965, ending up at Woodham's at Barry. 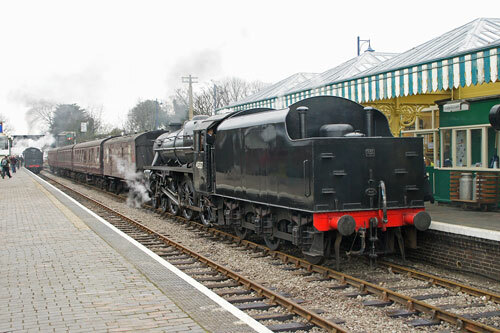 It arrived at the Llangollen Railway in 1995 and returned to steam in 2009, remaining operational in 2013 and visiting the North Norfolk 2013 Spring Steam Gala. 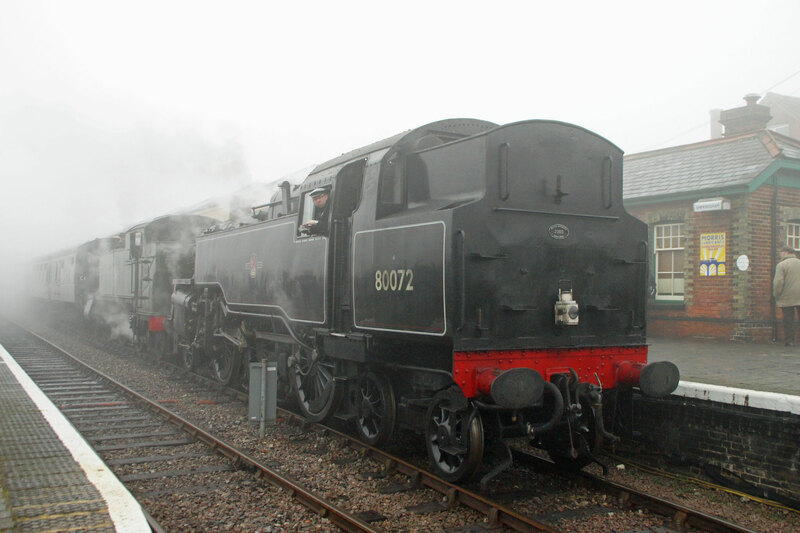 No.78019 is a British Railways Standard Class 2 2-6-0 built at Darlington in 1954 and withdrawn 1966. 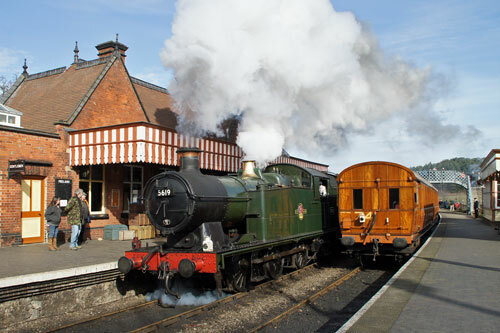 It arrived at the GCR in 1998 and returned to steam in 2004, remaining operational in 2013 and visited the North Norfolk 2013 Spring Steam Gala. Wissington was built by Hudswell Clarke in 1938 (builders no.1700) but looks much older. 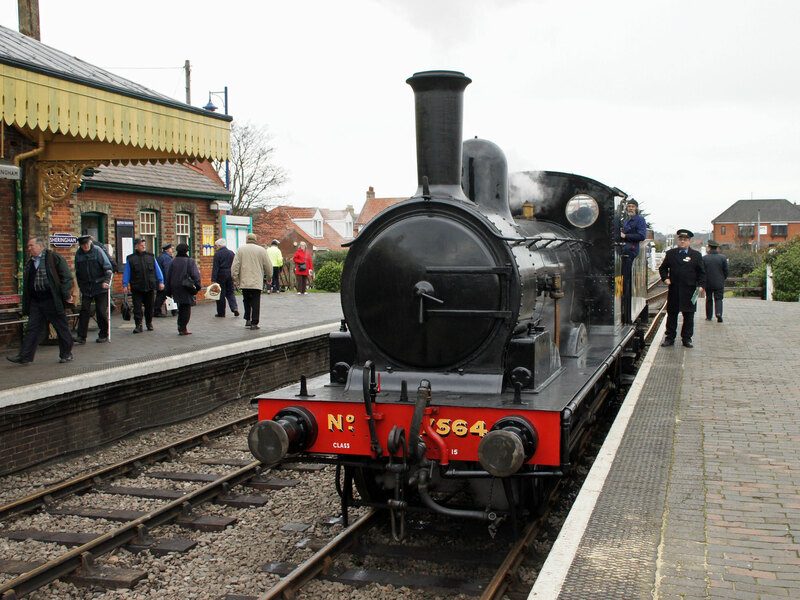 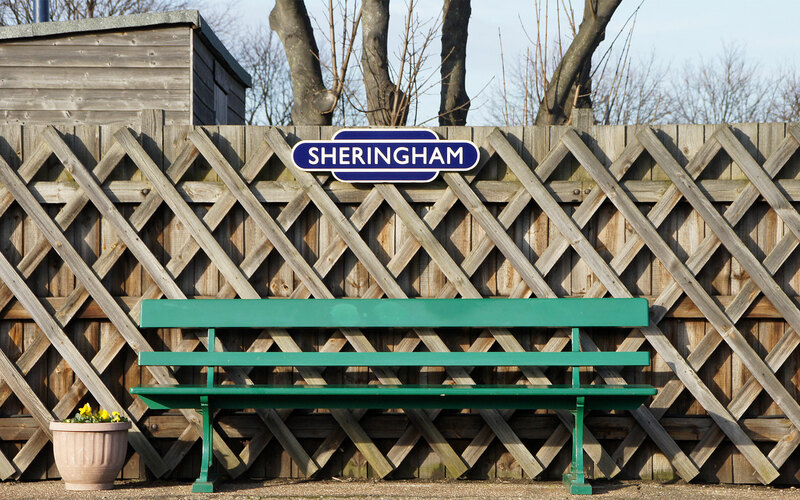 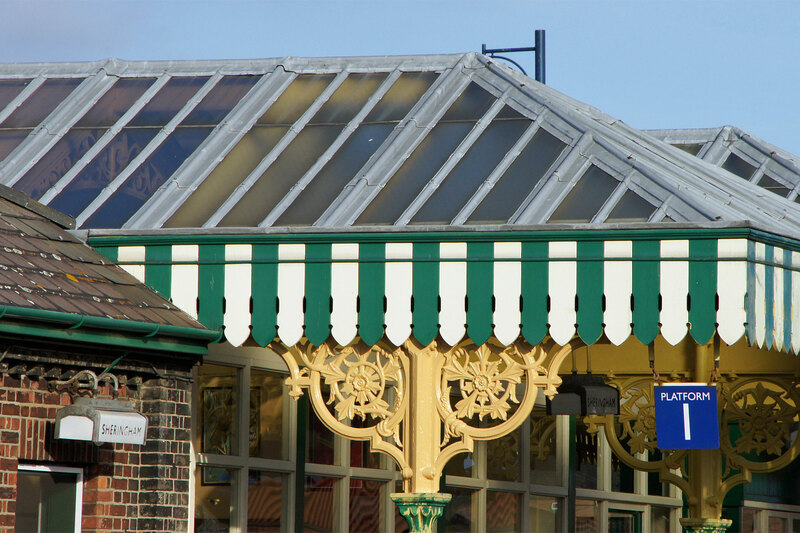 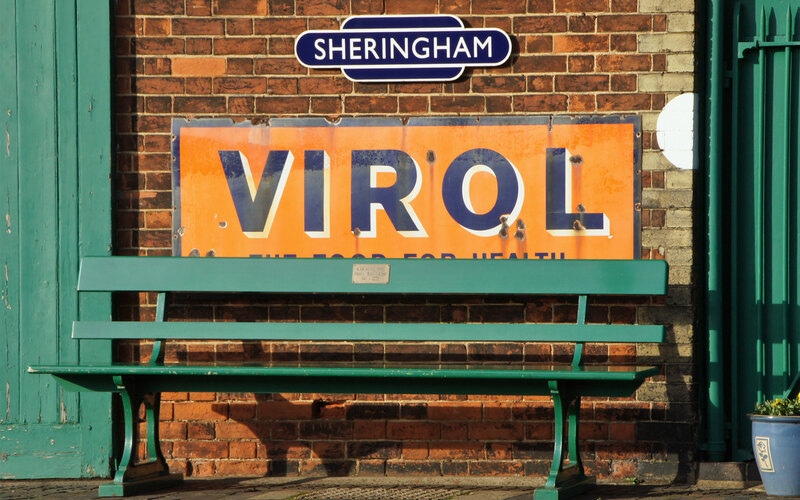 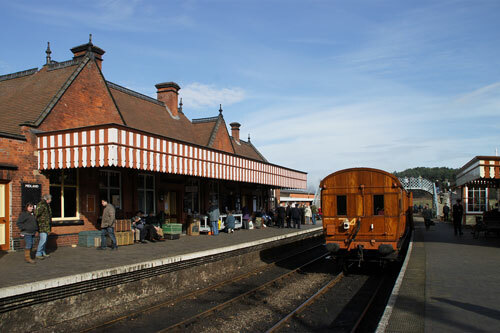 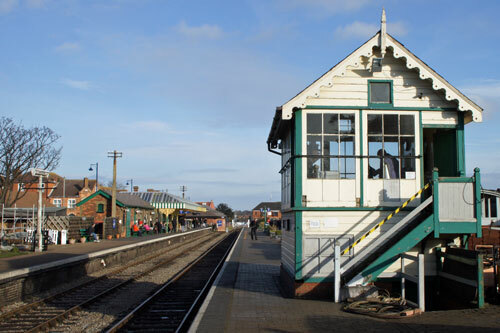 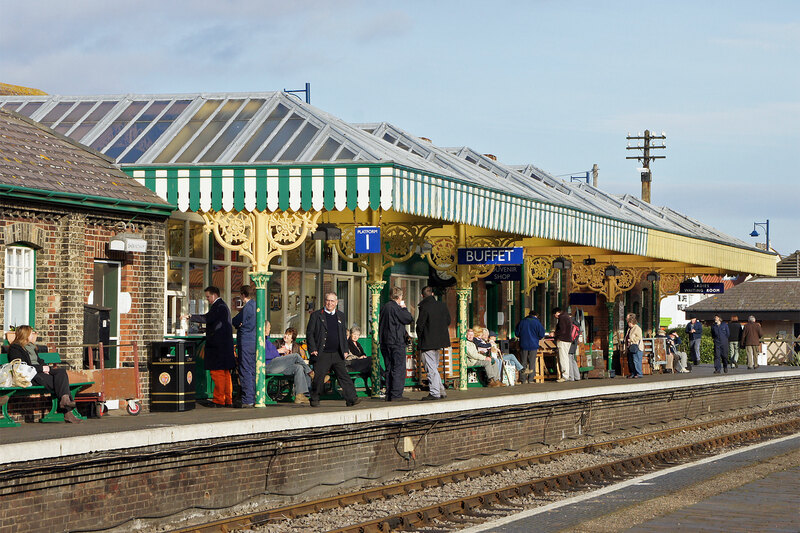 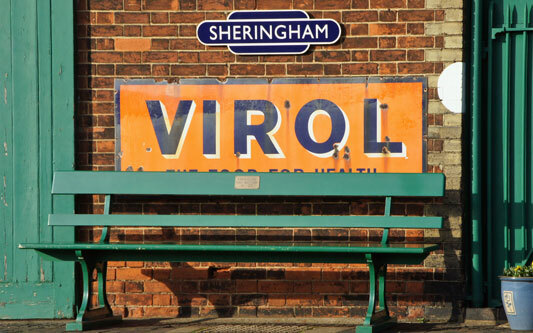 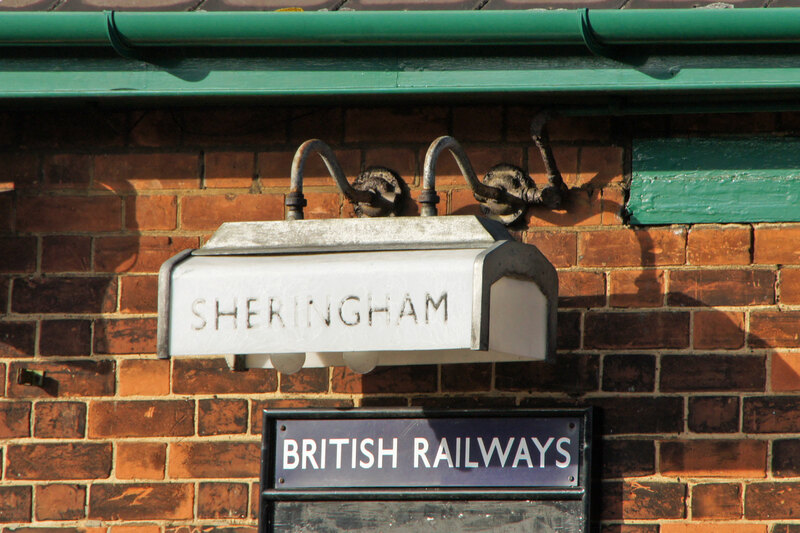 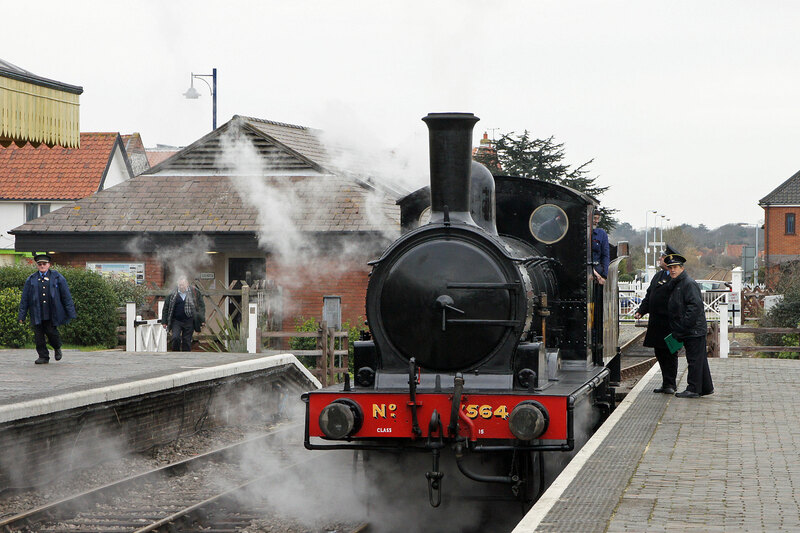 It was visiting the North Norfolk for the Railway Spring Gala 2013, where it acted as the Sheringham station pilot. 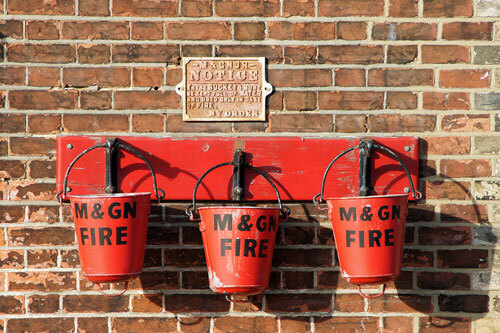 Wissington worked for its whole life at at Wissington sugar factory, near Downham Market. Now owned by the M&GN Joint Society and ran in 2012 on the Mid-Suffolk Railway.